Sun! 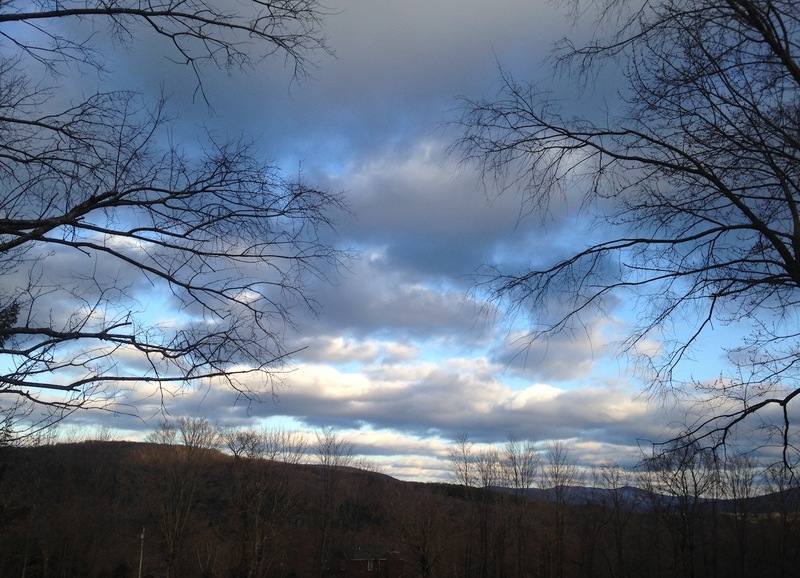 A high of 37F with brilliant sunshine through ribbons of passing cloud. The nor’easter has moved on. 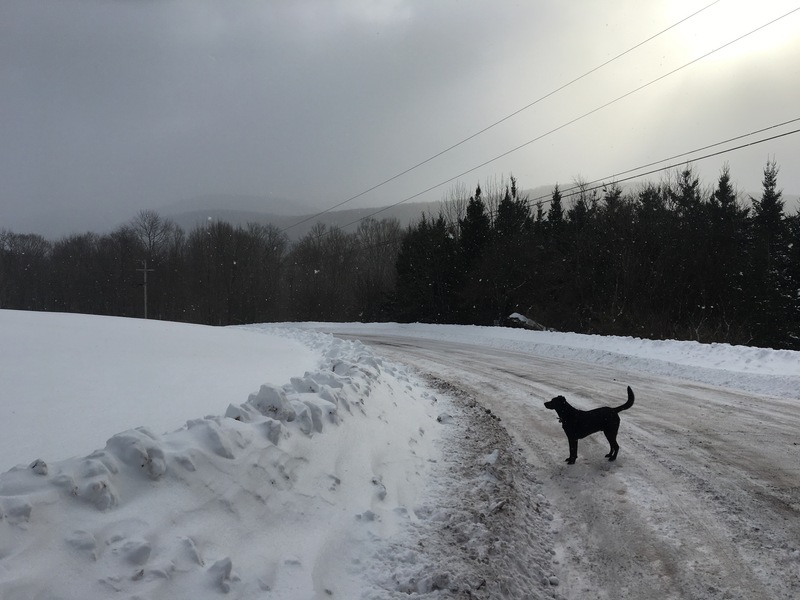 This entry was posted in Daily Catskills and tagged Catskills, Snow, Upstate Dispatch, Upstate NY, Winter, Winter Wonderland on March 18, 2018 by JNUrbanski. A high of 40F with continual flurries of snow and overcast with a shimmering cloud. 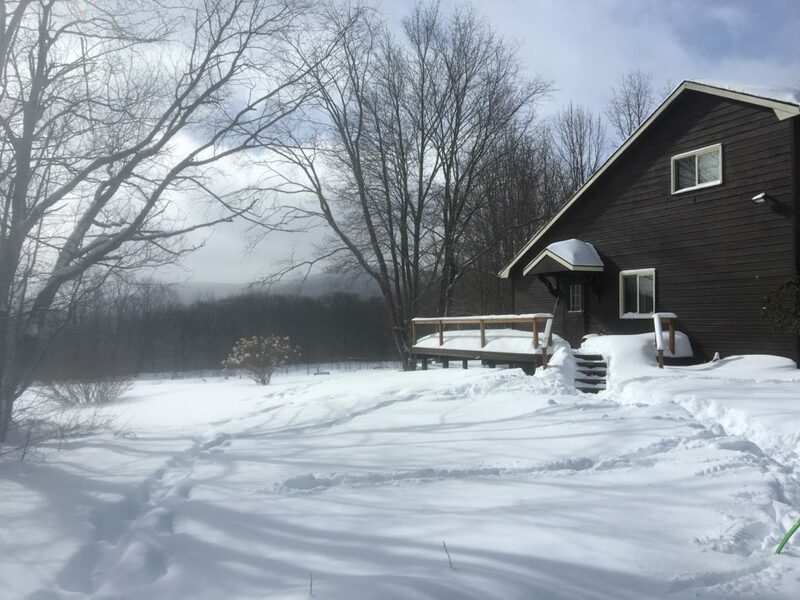 This entry was posted in Daily Catskills and tagged Catskills, Daily Catskills, Snow, Upstate, Upstate Dispatch, Upstate NY, Winter on March 10, 2018 by JNUrbanski. A high of 36F, overcast with a glimmering cloud and gloomy. 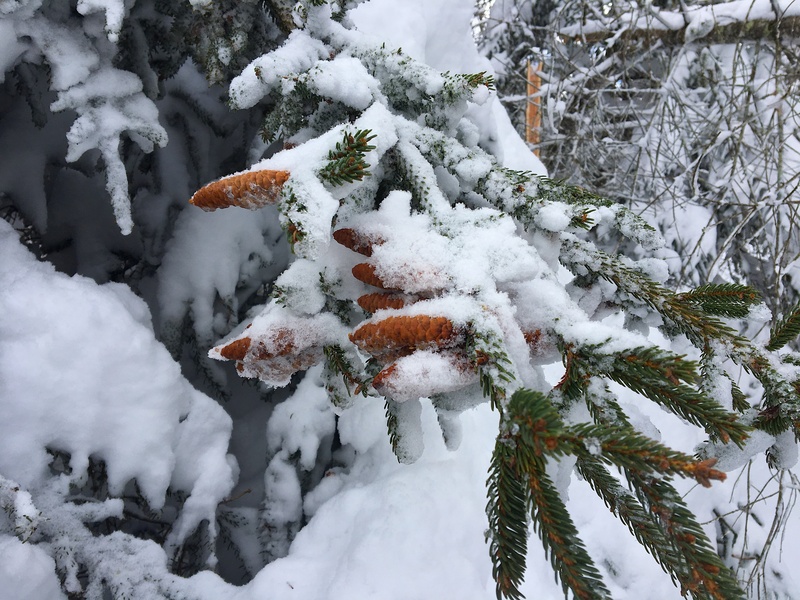 Snow hangs heavily in the pine trees, cracking off branches and breaking trunks in half. 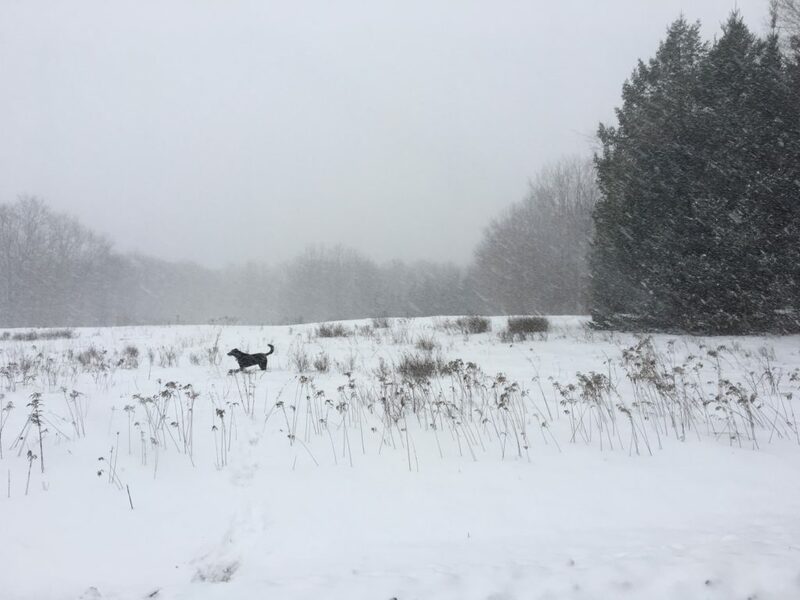 This entry was posted in Daily Catskills and tagged Catskills, New York, Snow, Snow Day, Upstate New York, Winter on March 4, 2018 by JNUrbanski. 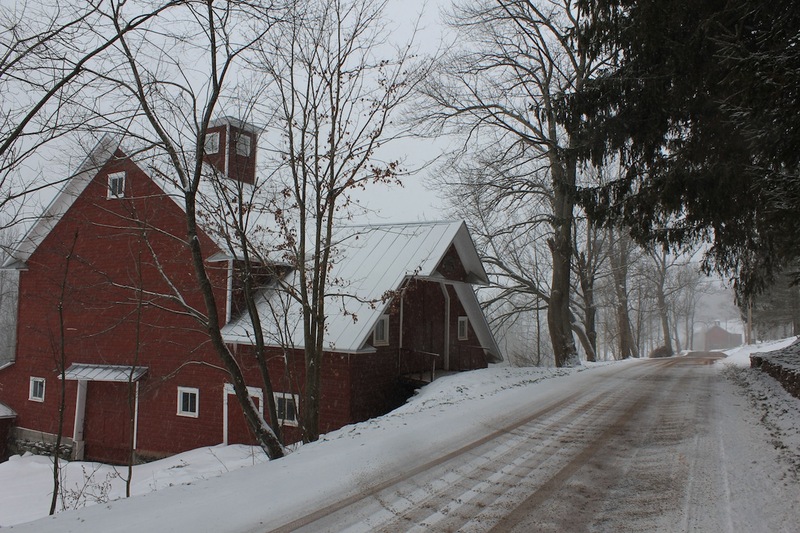 A high of 34F with crunchy snow underfoot and an afternoon snow storm that dumped several inches of powder. Yesterday laundry day. Today not so much. 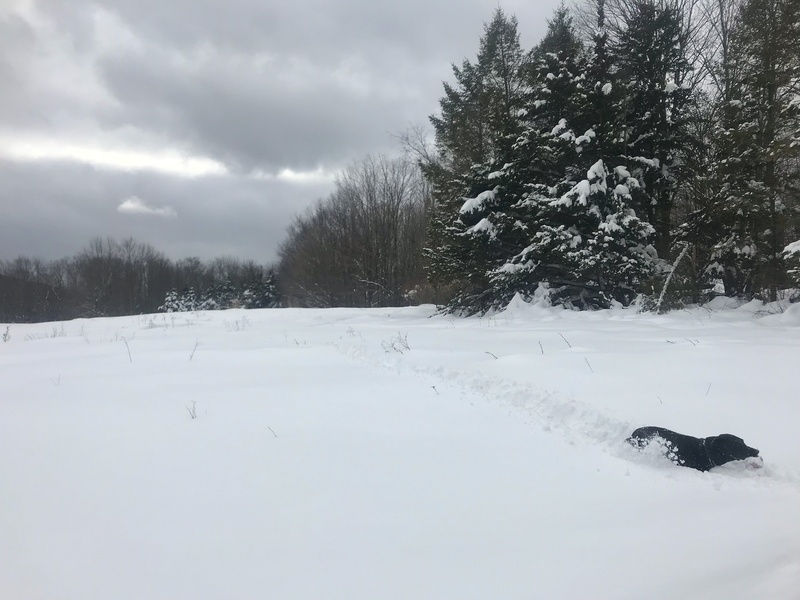 This entry was posted in Daily Catskills and tagged Catskills, Daily Catskills, I love NY, Snow, Upstate, Upstate New York, Winter on February 22, 2018 by JNUrbanski. A high of 21F, overcast with a bitter, driving wind and icy snow. Frigid. This entry was posted in Daily Catskills and tagged Snow, Snow in the Catskills, Winter, Winter in the Catskills on January 30, 2018 by JNUrbanski. 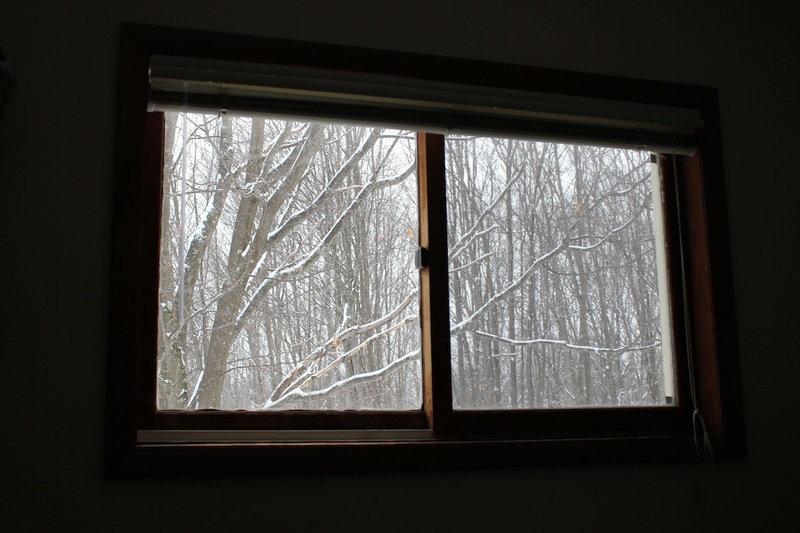 A high of 26F with continual, light snow. 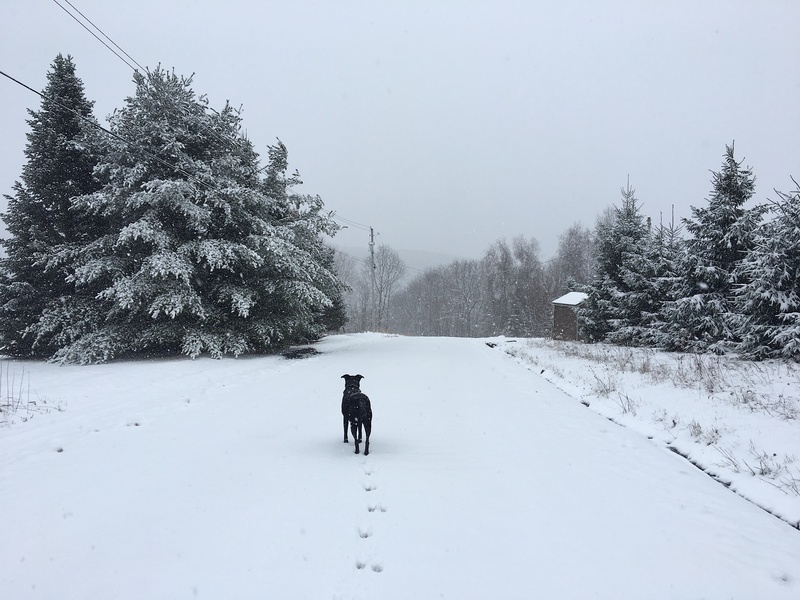 This entry was posted in Daily Catskills and tagged Catskills, Catskills NY, Snow, Winter, Winter Wonderland on December 16, 2017 by JNUrbanski. A morning temperature of 10F with blistering, face-numbing, phone-freezing winds, rising to 17F by mid-afternoon with brief flashes of sun. Bitterly frigid. 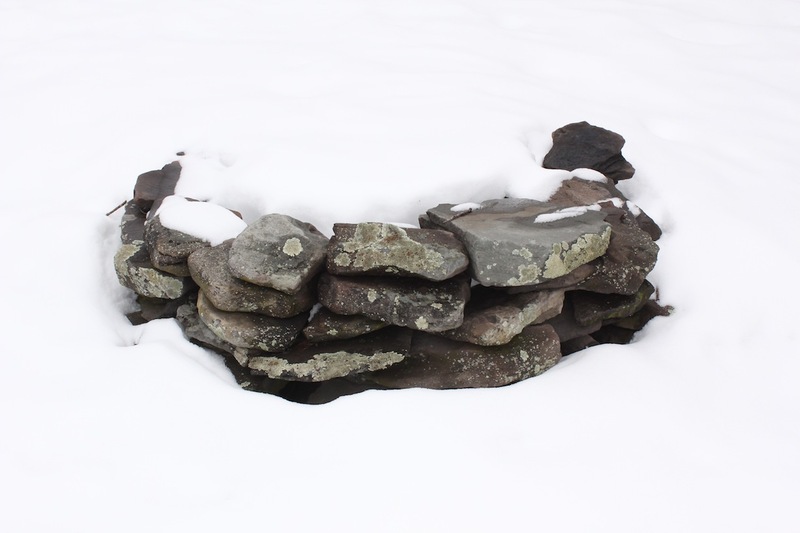 This entry was posted in Daily Catskills and tagged Catskill Mountains, Catskills, Catskills Photography, Snow, Winter on December 14, 2017 by JNUrbanski. A high of 29F and gloomy with rippled, moody clouds and a bitter chill. 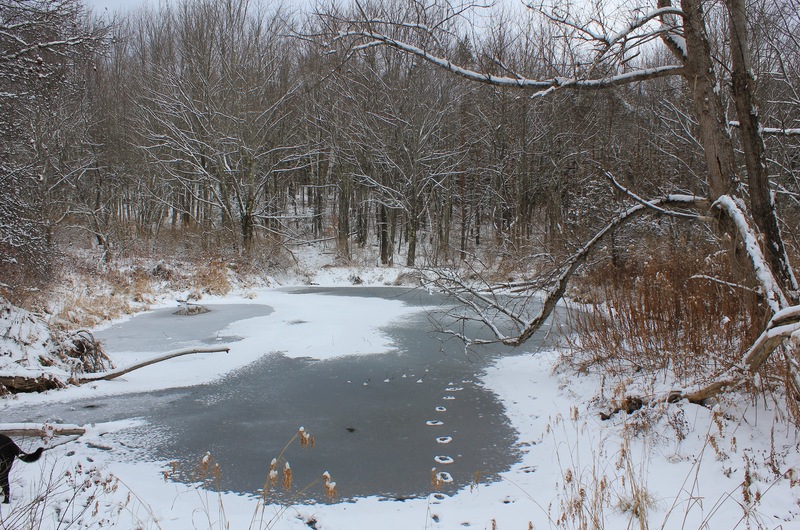 Late afternoon flurries cover iced ponds. 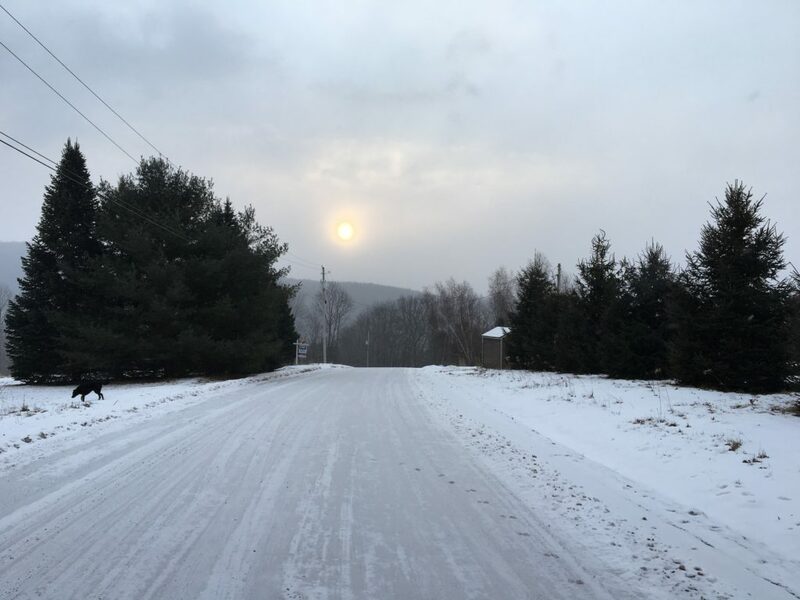 This entry was posted in Daily Catskills and tagged Catskill Mountains, Catskills NY, Catskills Winter, Catskills Writer, Upstate Photographer, Winter on December 10, 2017 by JNUrbanski. 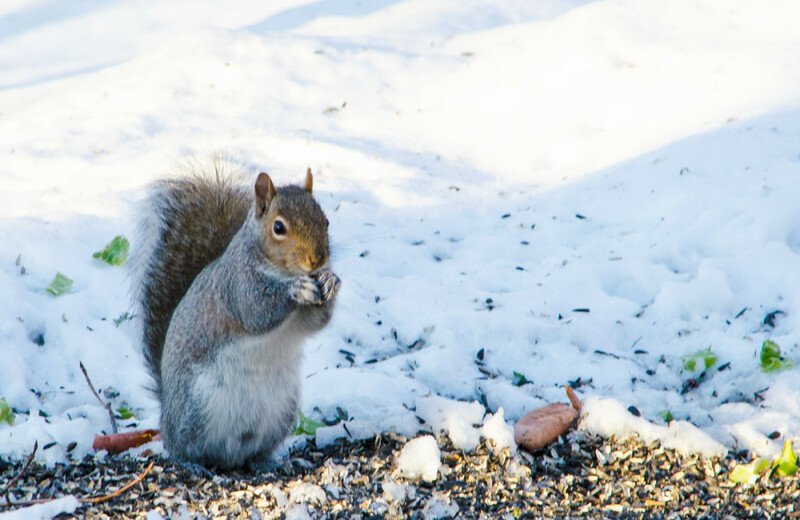 A high of 30F and cold with afternoon snow beginning as a light sprinkles at lunchtime and continuing well into the evening. Cars over-shooting their turns, sliding gracefully off roads and into ditches, just before dusk ahead of the snow ploughs. Winter has finally arrived. 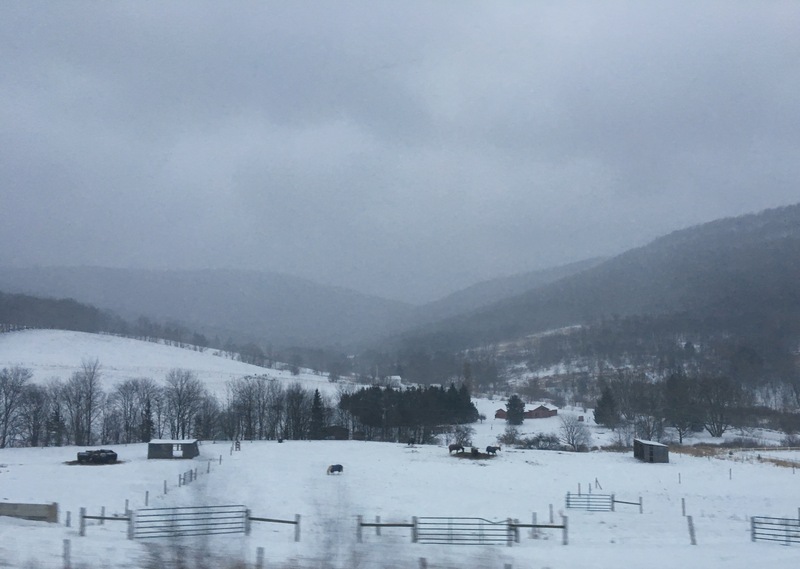 This entry was posted in Daily Catskills and tagged Catskills Winter, Snow, Upstate, Winter, Winter Wonderland on December 9, 2017 by JNUrbanski. 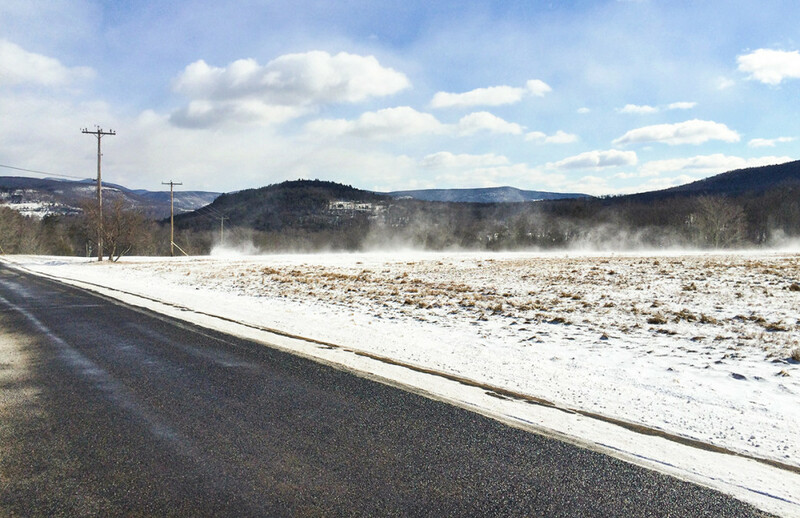 34F by mid-afternoon with hale settling like snow on the dust-colored landscape. 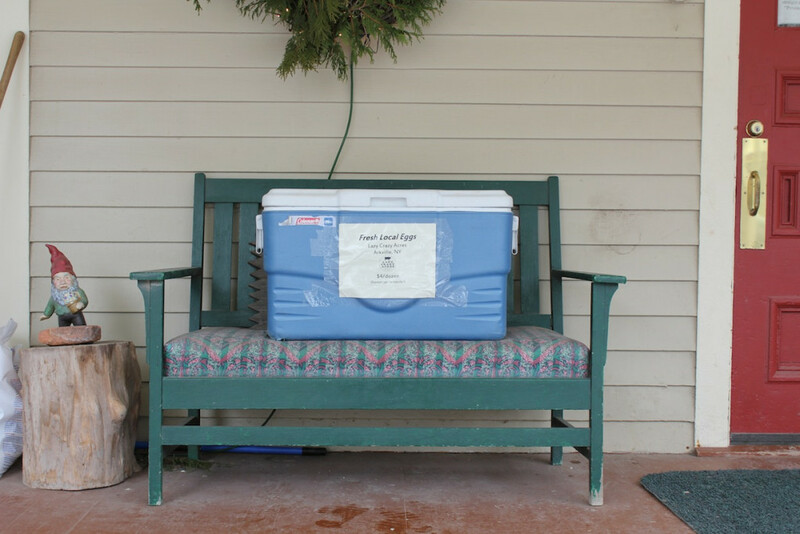 After a week of thawing, in which a few feet of snow disappeared, the buds are now back in their icy prison. Gusty winds. 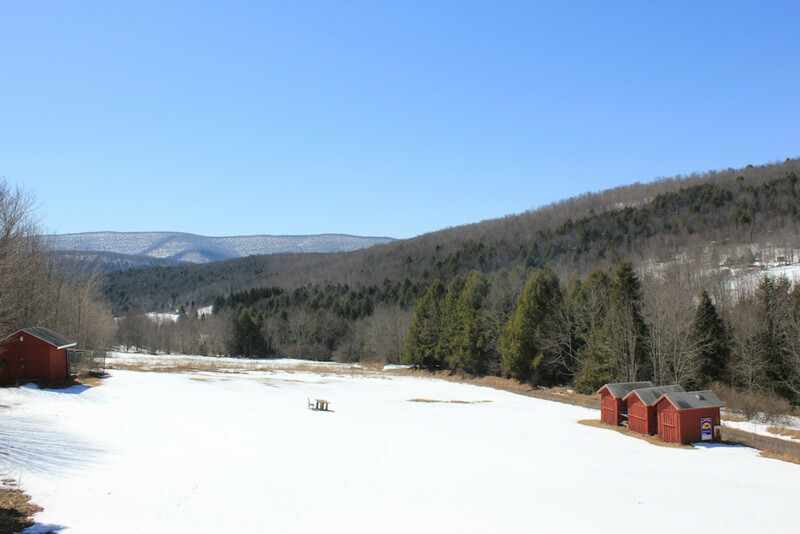 This entry was posted in Daily Catskills and tagged Catskill Mountains, Catskills, Country Life, Daily Catskills, Mountains, Snow, Upstate NY, Winter on March 31, 2017 by JNUrbanski. 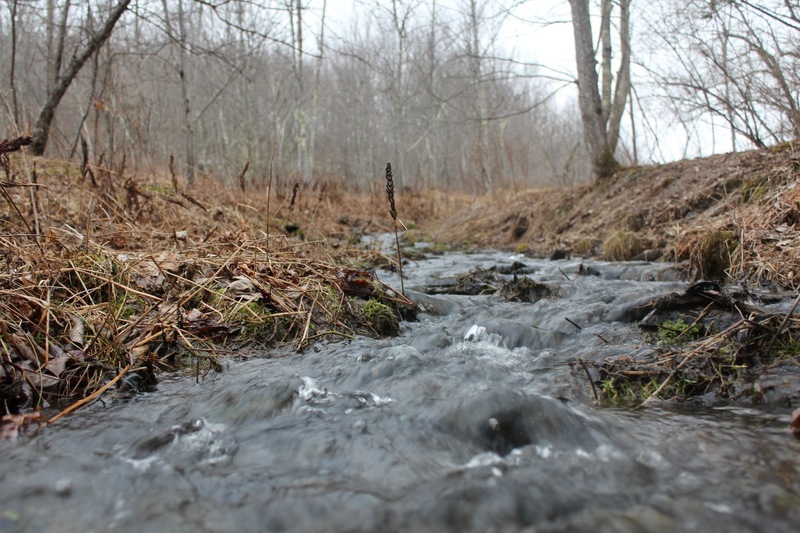 45F at 8.30am and 51F by mid-afternoon, humid, with large piles of snow trickling into rivers, ditches and gullies. 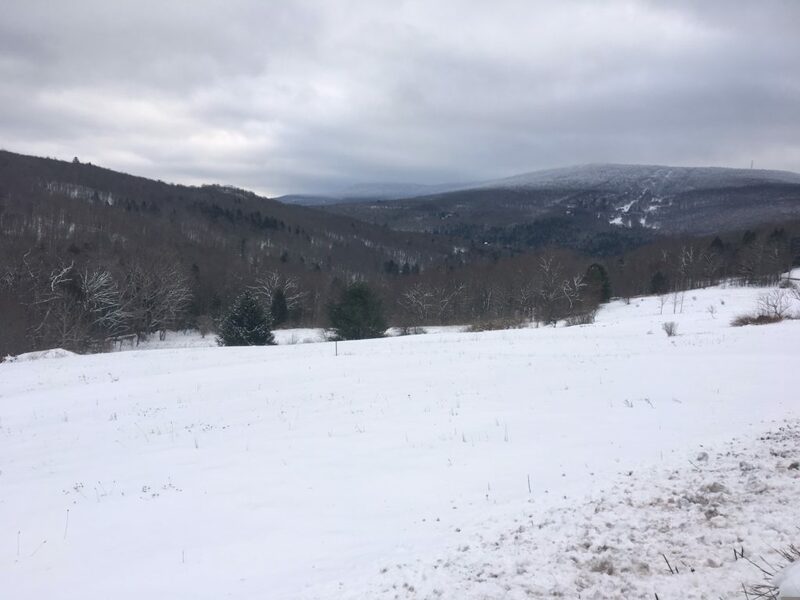 This entry was posted in Daily Catskills and tagged Catskill Mountains, Catskills, Catskills Photography, Country Living, I love NY, Snow, Upstate Living, Upstate New York, Upstate NY, Weather, Winter on March 21, 2017 by JNUrbanski. 46F by mid-afternoon, brilliant sunshine, two feet of soft snow acts as a giant pillow for lounging in the sun. This entry was posted in Daily Catskills and tagged Catskill Mountains, Catskills, Catskills Photography, Country Living, Hiking, I love NY, Mountain Life, Snow, Upstate Living, Upstate New York, Upstate NY, Winter on March 19, 2017 by JNUrbanski. 19F at 8.30am with bracing winds, swirling powder, sun shining through a sky of gauze, huge piles of snow. 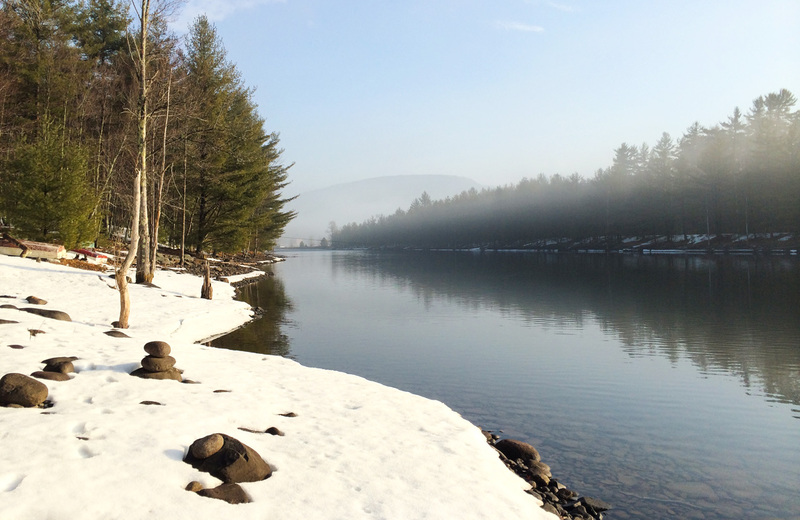 This entry was posted in Daily Catskills and tagged Catskill Mountains, Catskills, Mountains, Snow, Winter on March 16, 2017 by JNUrbanski. 18F at 11am with the sun breaking through a blue sky stuffed with cotton wool and up to three feet of powdery snow. Digging out continues. 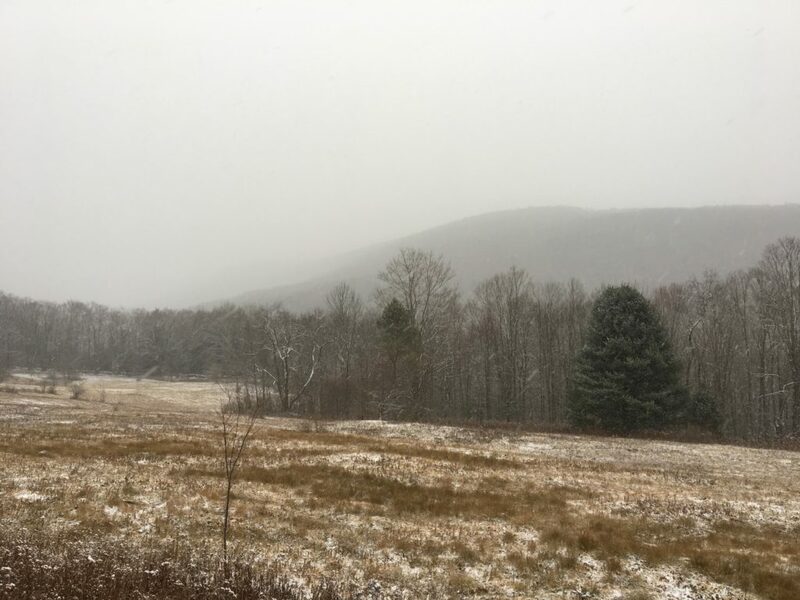 This entry was posted in Daily Catskills and tagged Catskill Mountains, Catskills, I love NY, New York, Snow, Upstate, Winter on March 15, 2017 by JNUrbanski. 20F at 8am, a relentless blizzard of fluffy overnight snow continues into a gloomy, bleak morning. 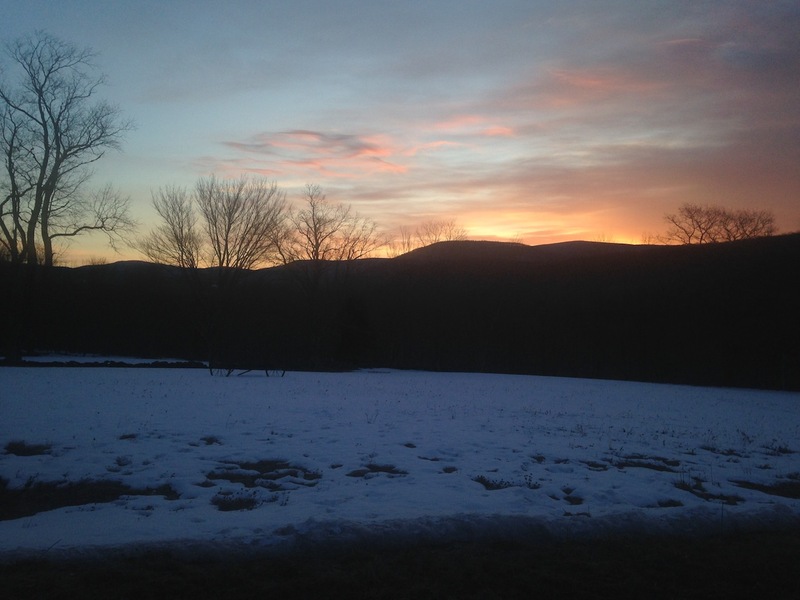 This entry was posted in Daily Catskills and tagged Catskill Mountains, Catskills, Snow, Upstate Writer, Winter, Writers of New York on March 14, 2017 by JNUrbanski. 11F on the ridge at 9.30am and not much warmer for the rest of the day. Face-freezing, tree cracking, fresh powder swirling in roaring winds. 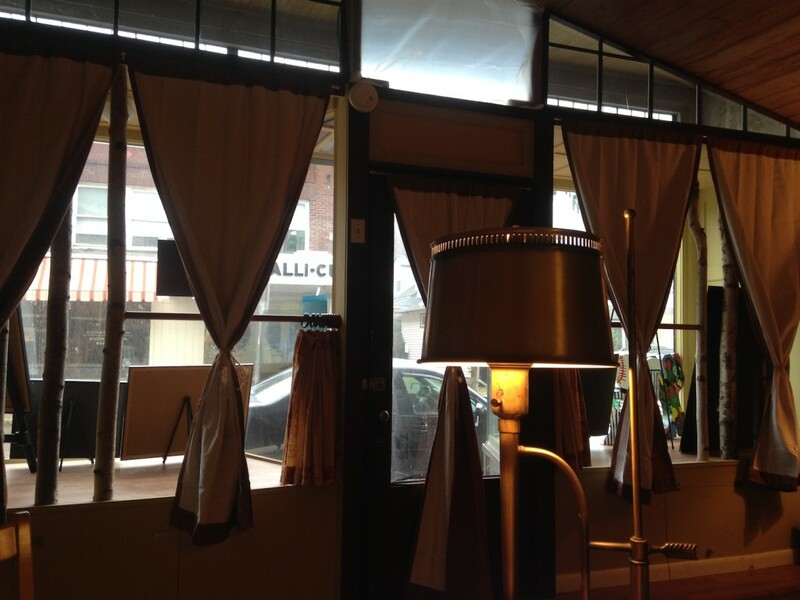 Evening repair to cozy bar. 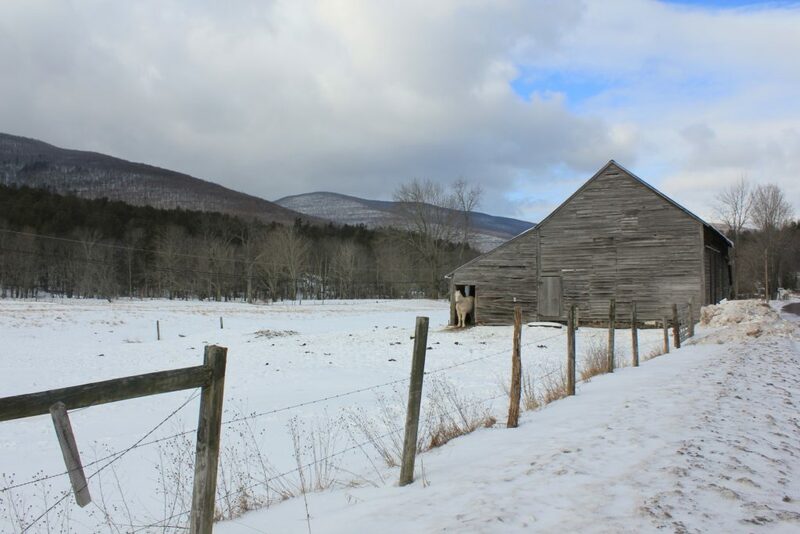 This entry was posted in Daily Catskills and tagged Catskill Mountains, Catskills, Country Life, Upstate New York, Upstate NY, Winter on March 12, 2017 by JNUrbanski. 29F by mid-afternoon with snow all day. Whiteout. 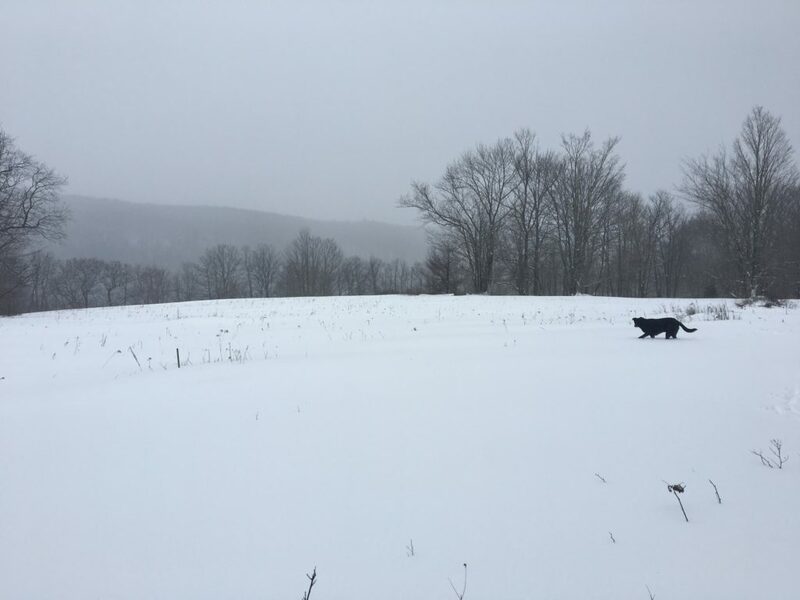 This entry was posted in Daily Catskills and tagged Catskill Mountains, Catskills, I love NY, Snow, Upstate Life, Upstate Living, Upstate New York, Upstate NY, Winter on February 12, 2017 by JNUrbanski. 18F by 1pm with a foot-deep blanket of overnight snow and high winds kicking up the powder into a misty spray. This entry was posted in Daily Catskills and tagged Catskill Mountains, Catskills, Catskills Photography, Country Living, Daily Catskills, I love NY, Mountain Life, Snow, Upstate Life, Upstate Living, Winter on February 9, 2017 by JNUrbanski. 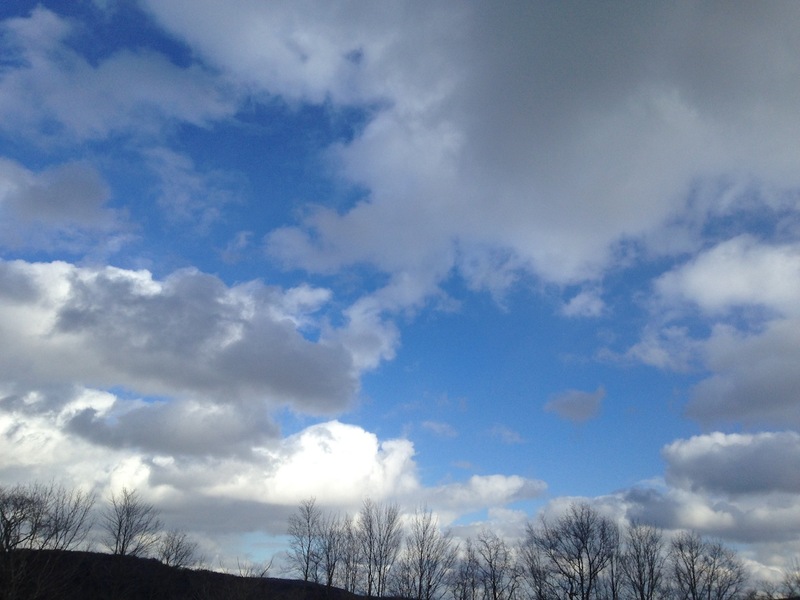 28F by mid-afternoon and bright and sunny with rolling clouds. Toe-numbing coldness until the afternoon. 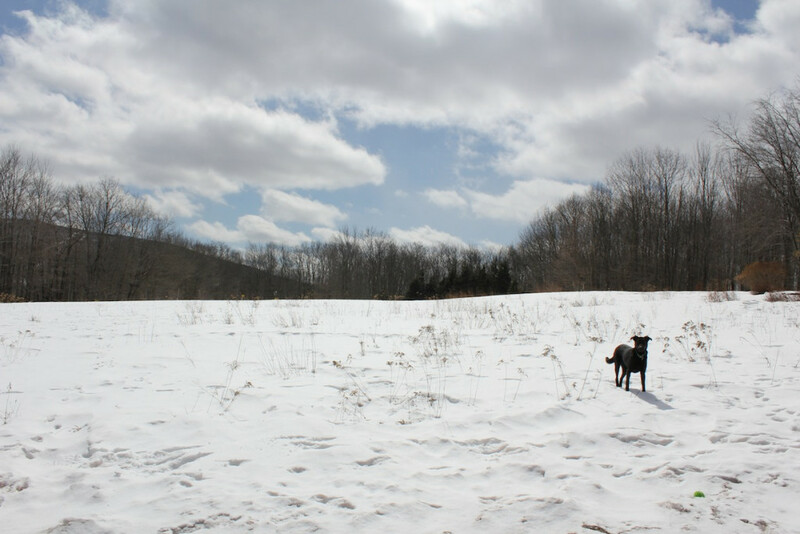 This entry was posted in Daily Catskills and tagged Catskill Mountains, Catskills, Catskills Farms, I love NY, Snow, Upstate Life, Upstate Living, Upstate New York, Upstate NY, Winter on February 4, 2017 by JNUrbanski. 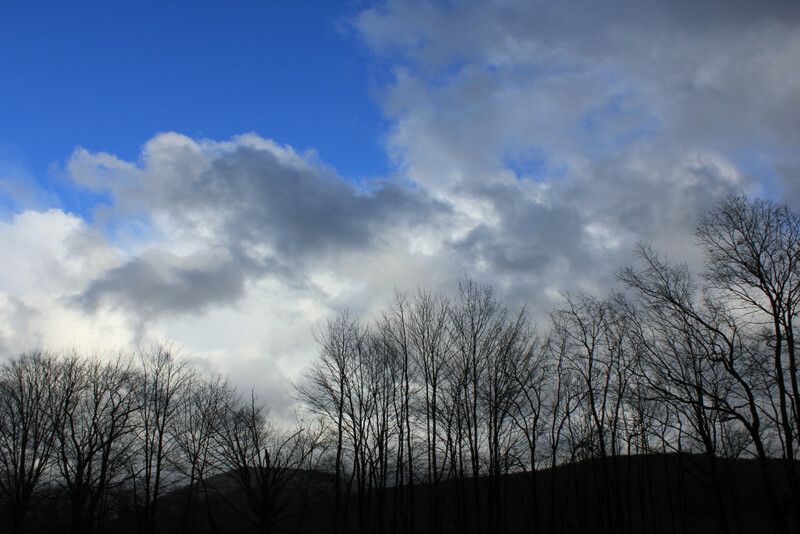 29F at 10am, snow flurries, turbulent sky, with flashes of blue. 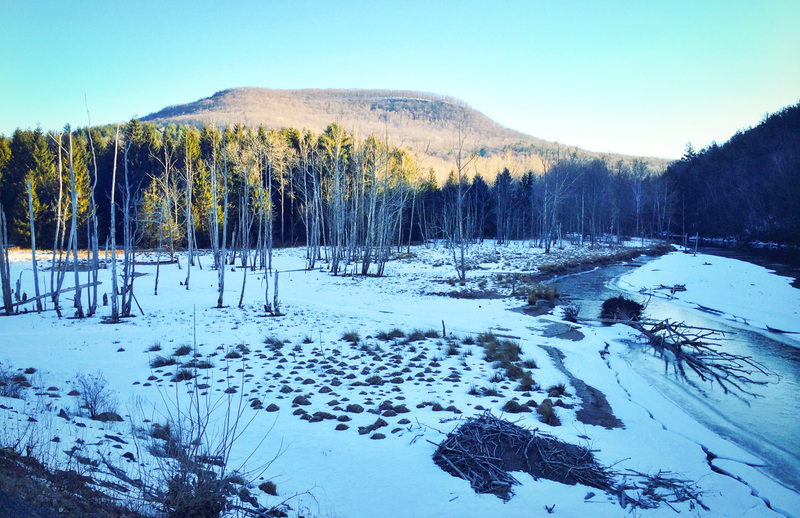 This entry was posted in Daily Catskills and tagged Catskill Mountains, Catskills, Hiking, Mountain Life, Upstate Life, Upstate Living, Upstate NY, Winter on January 28, 2017 by JNUrbanski. 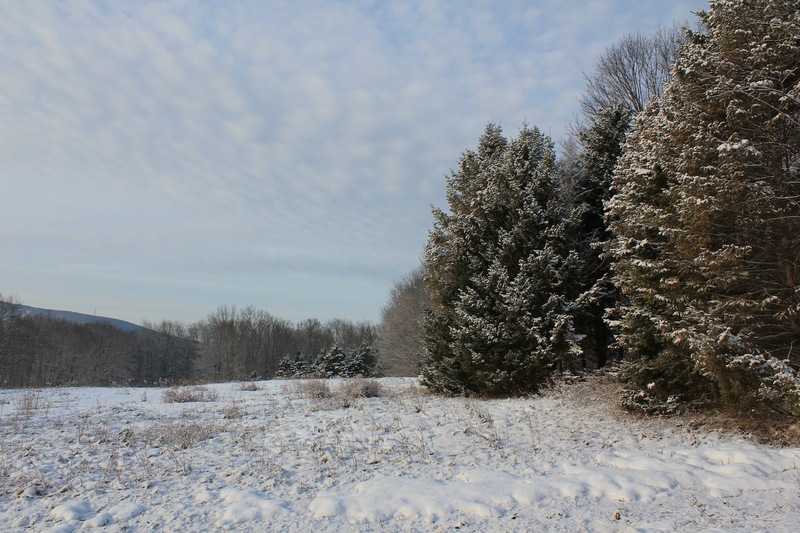 31F at 9am, light breeze, milky sky, six inches of overnight snow. 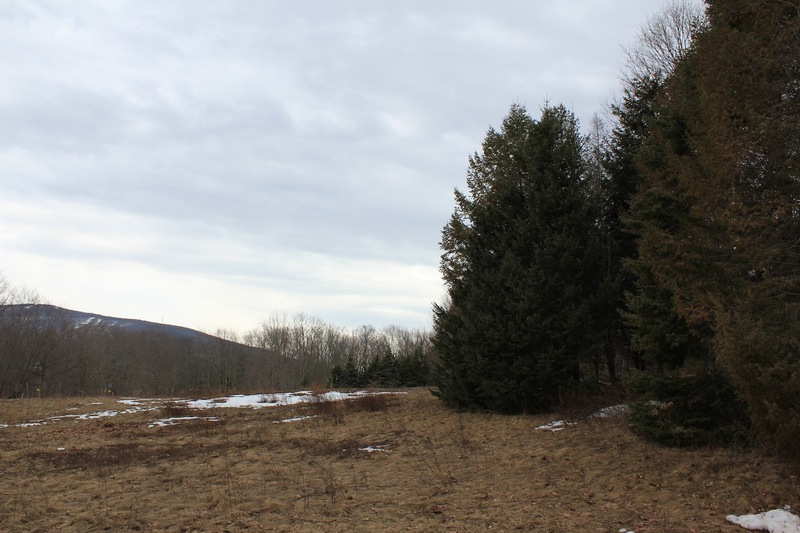 This entry was posted in Daily Catskills and tagged Catskill Mountains, Catskills, Catskills Winter, Hiking, Hiking Upstate New York, Upstate Life, Upstate Living, Upstate New York, Upstate NY, Winter on January 26, 2017 by JNUrbanski. 9F at 9am, calm and quiet with the sun straining though a sky like gauze. 15F by mid-afternoon with light, glittering snowfall. 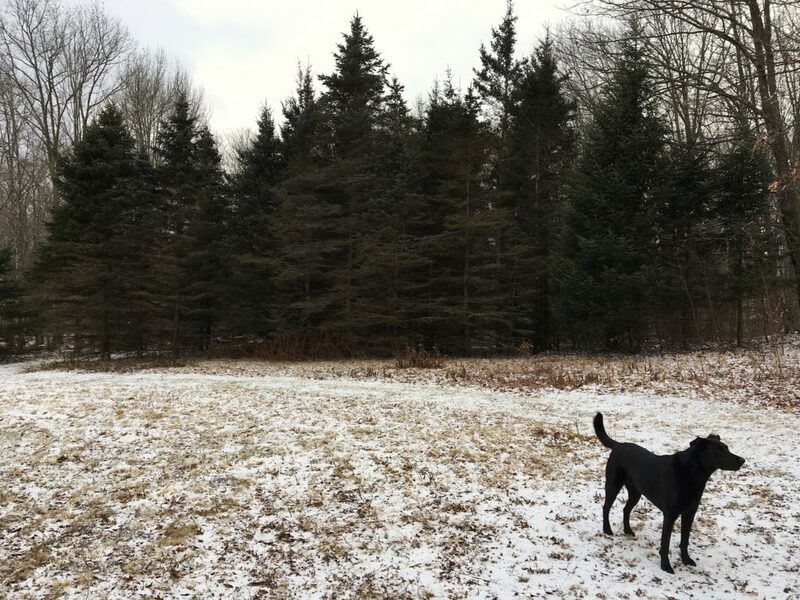 This entry was posted in Daily Catskills and tagged Catskill Mountains, Catskills, Catskills Winter, Country Living, I love NY, Mountain Life, Snow, Upstate Life, Upstate Living, Upstate New York, Upstate NY, Winter on January 8, 2017 by JNUrbanski. 47F at 8.30am, overcast, raining and breezy. 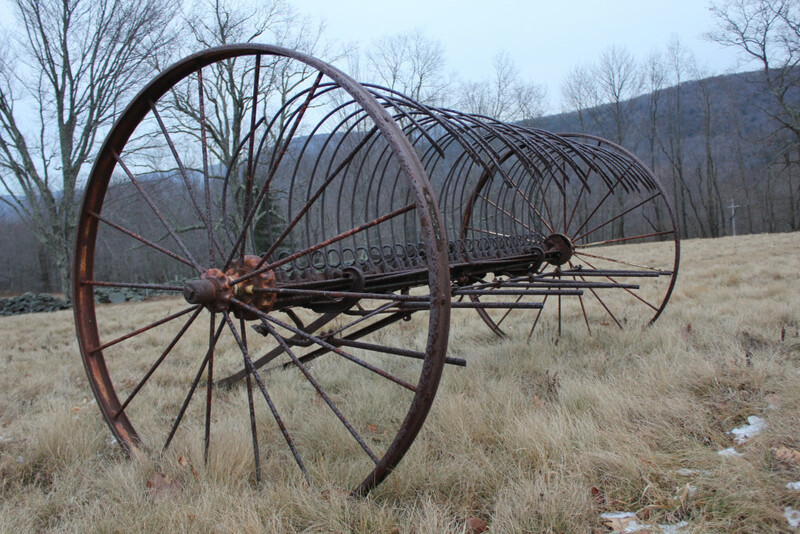 This entry was posted in Daily Catskills and tagged Catskill Mountains, Catskills, Catskills Photography, Country Living, I love NY, Mountain Life, Photography, Upstate Life, Upstate Living, Upstate New York, Upstate NY, Winter, Winter in the Catskills on February 29, 2016 by JNUrbanski. 19F at 8.30am rising to 34F by late afternoon. Clear and sunny. 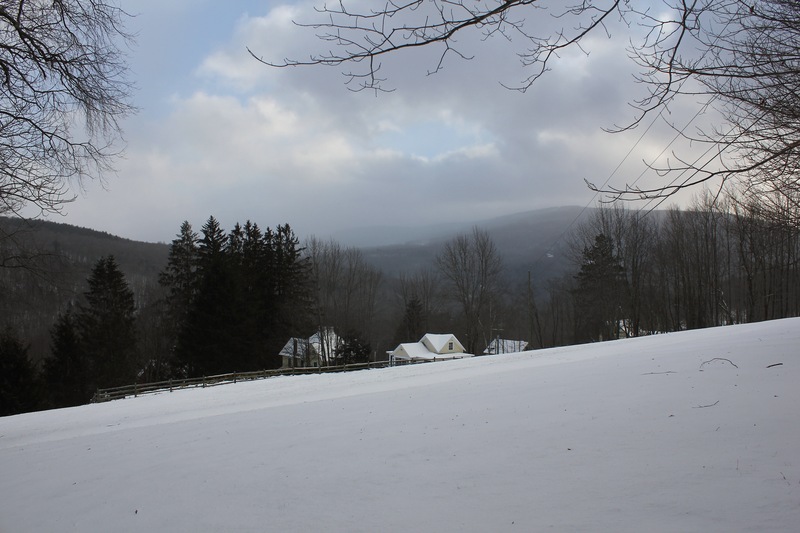 This entry was posted in Daily Catskills and tagged Catskill Mountains, Catskills, Catskills Photography, Catskills Winter, I love NY, Mountain Life, Ski Catskills, Upstate Life, Upstate Living, Upstate New York, Upstate NY, Winter, Winter in the Catskills on February 27, 2016 by JNUrbanski. 30F by 10am and partly cloudy and sunny, rising to 38F and overcast by 4.30pm. This entry was posted in Daily Catskills and tagged Catskill Mountains, Catskills, Catskills Photography, Country Living, Hiking, Mountain Life, Upstate Life, Upstate Living, Upstate New York, Upstate NY, Winter, Winter in the Catskills on January 15, 2016 by JNUrbanski. 45F by noon with fog, mist and rain. Continual rain with a brief gap in the clouds at 2pm and then Winter Storm Hera at about 2.30pm. 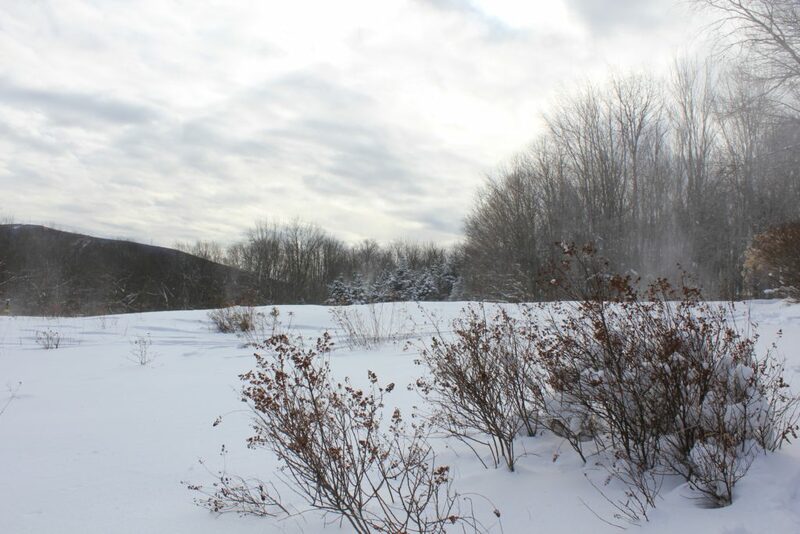 This entry was posted in Daily Catskills and tagged Catskill Mountains, Catskills, Catskills Photography, Catskills Winter, Country Living, I love NY, Mountain Life, Upstate Living, Upstate New York, Winter, Winter in the Catskills, Winter Storm Hera on January 10, 2016 by JNUrbanski. 28F at 8.30am with overnight snow lingering in the scantiest of flurries. Overcast and gloomy. RIP Crocus. 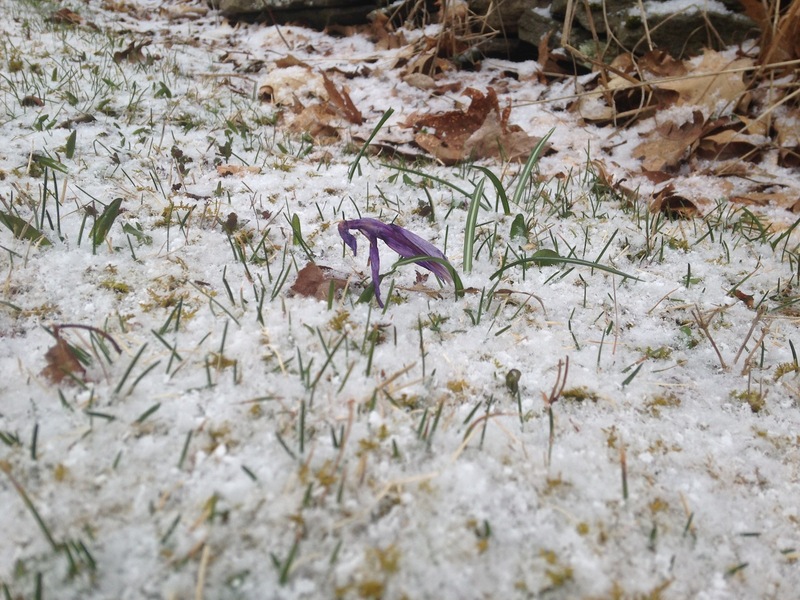 This entry was posted in Daily Catskills and tagged Catskills, Crocus, Deep Freeze, Flowers, Ski Catskills, Snow, Spring, Weather, Winter on April 24, 2015 by JNUrbanski. 38F by 9am. A sprinkling of overnight snow lay dissolving into puddles. Update: Continual flurries for the rest of the day with 30F by 7pm. 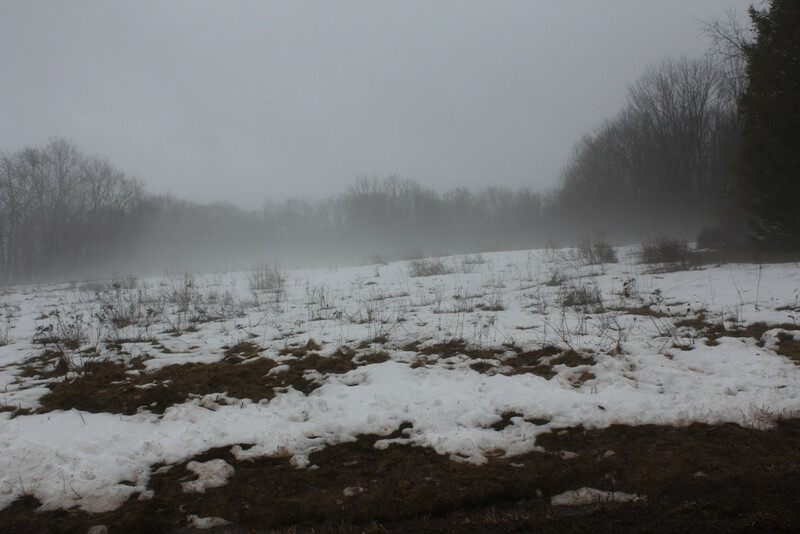 This entry was posted in Daily Catskills and tagged Catskills, Photography, Rain, Ski, Ski Catskills, Snow, Spring, Weather, Winter on April 23, 2015 by JNUrbanski. 40F at 9am and windy. The sun fighting through the grey rolling cloud cover. Stunning cloud cover all afternoon culminating in a gorgeous sunset. This entry was posted in Daily Catskills and tagged Catskills, Rain, Spring, Weather, Winter on April 11, 2015 by JNUrbanski. 44F at 10am. Gloomy, wet and overcast. More rain. Update: 59F and a glimmer of sunshine at 2pm. 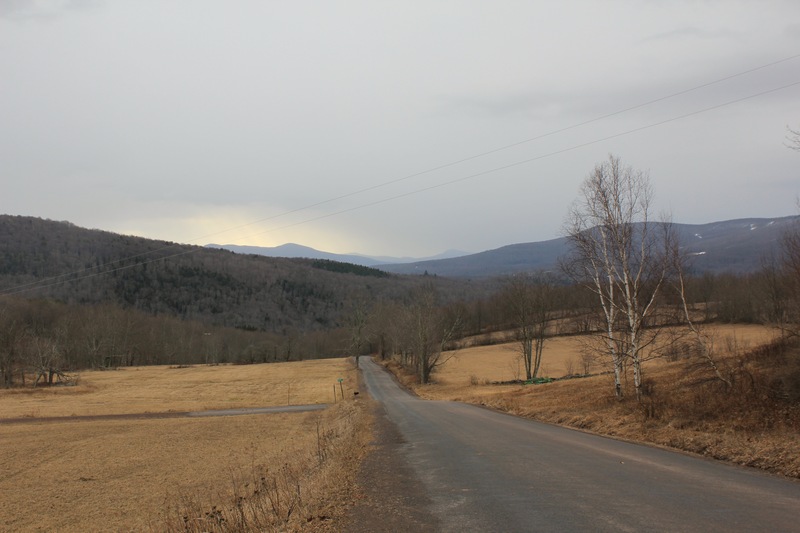 This entry was posted in Daily Catskills and tagged Catskills, Photography, Rain, Ski, Ski Catskills, Skiing, Spring, Weather, Winter on April 10, 2015 by JNUrbanski. Jack Frost has cut his expert swathe across the mountains. 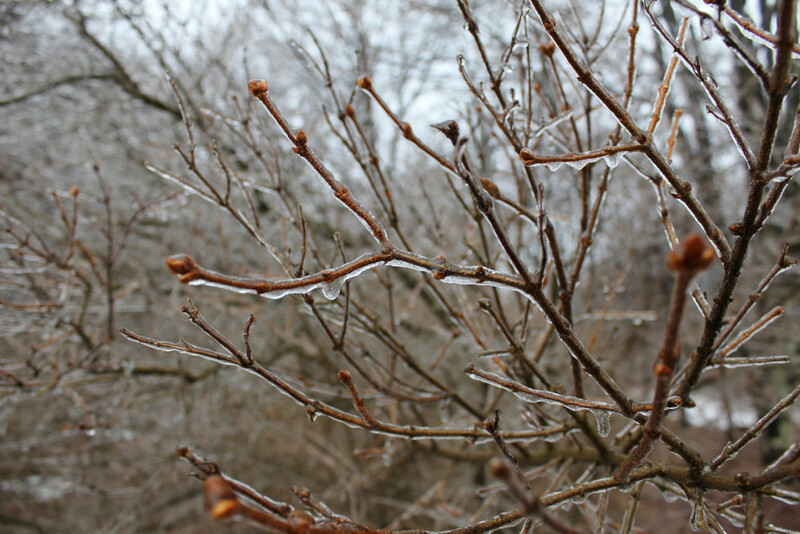 A frozen, overcast landscape, 31F at 7am and every single bud, blade and branch coated in a thick, icy mantle. Icy granola stuck fast to the entire deck and sides of the house. 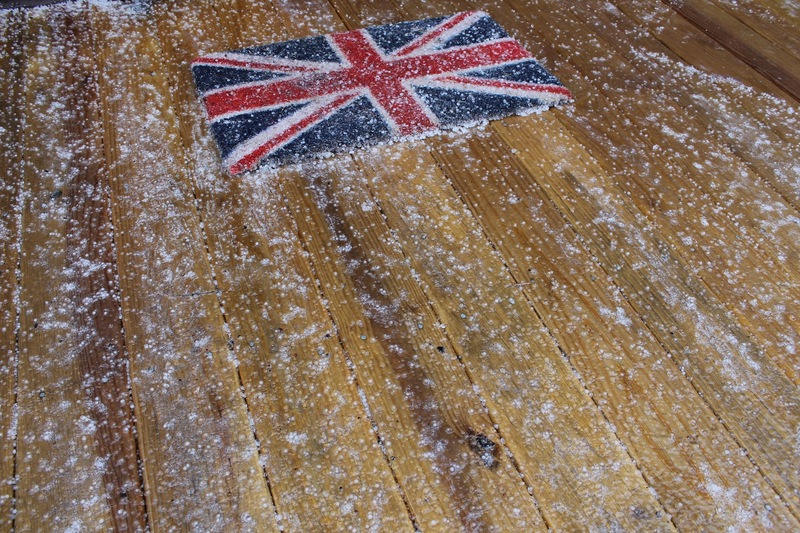 Overnight thunder, lightning and hail set Spring back again. Update: 36F mid-afternoon with the ice being noisily blown off the branches by the wind. This entry was posted in Daily Catskills and tagged Catskills, Hail, Jack Frost, Lightning, Photography, Rain, Ski, Ski Catskills, Skiing, Spring, Thunder, Weather, Winter on April 9, 2015 by JNUrbanski. 44F at 9am and overcast with light, misty cloud rolling over the mountains. Snow receding into the drying landscape. Rain at 1pm, giving the landscape a good soaking. This entry was posted in Daily Catskills and tagged Catskills, Falls, Local, Photography, Rain, Spring, Spring Thaw, Weather, Winter on April 7, 2015 by JNUrbanski. We’re having extraordinary weather. This morning was like a Christmas Winter Wonderland and this afternoon snowmelt gushes down the mountains while the thermometer hit 60F at 4.30pm. Here are the before and after shots from today. The first picture taken at 7.45am and the second taken at 3.15pm in exactly the same place. 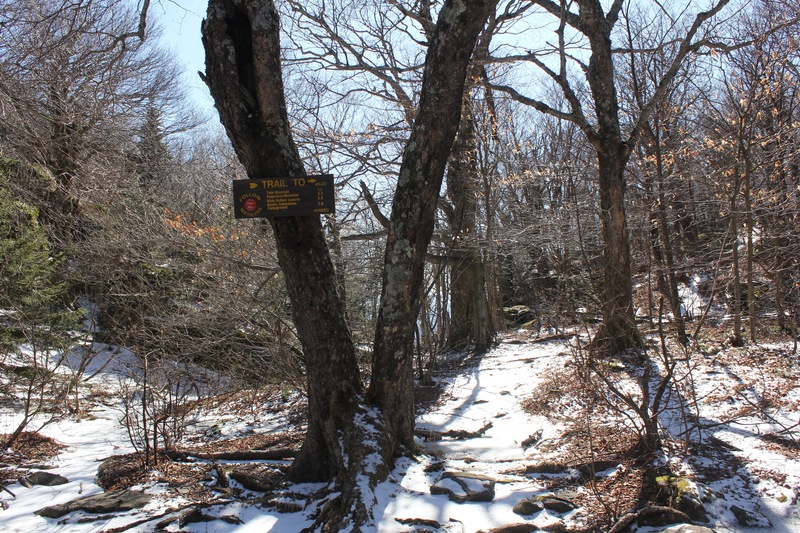 This entry was posted in Daily Catskills and tagged Catskills, Photography, Ski, Ski Catskills, Skiing, Snow, Spring, Weather, Winter on April 6, 2015 by JNUrbanski. Alas, we seem to have taken turn for the worse… 36F at snowing at 10am this morning. If it doesn’t warm up, we’ll have snow all day. The only saving grace: Easter chocolate. Update: the snowfall got heavier in the afternoon and into the evening. 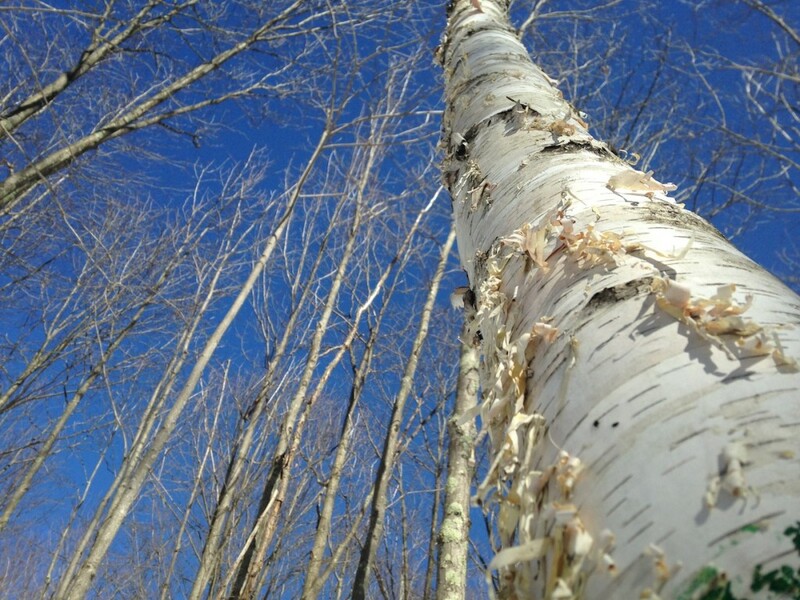 This entry was posted in Daily Catskills and tagged Catskills, Chocolate, Easter, Passover, Photography, Ski, Ski Catskills, Skiing, Snow, Spring, Weather, Winter on April 5, 2015 by JNUrbanski. 38F at 11am with high winds and brief moments of sunshine amidst multifarious cloud cover. 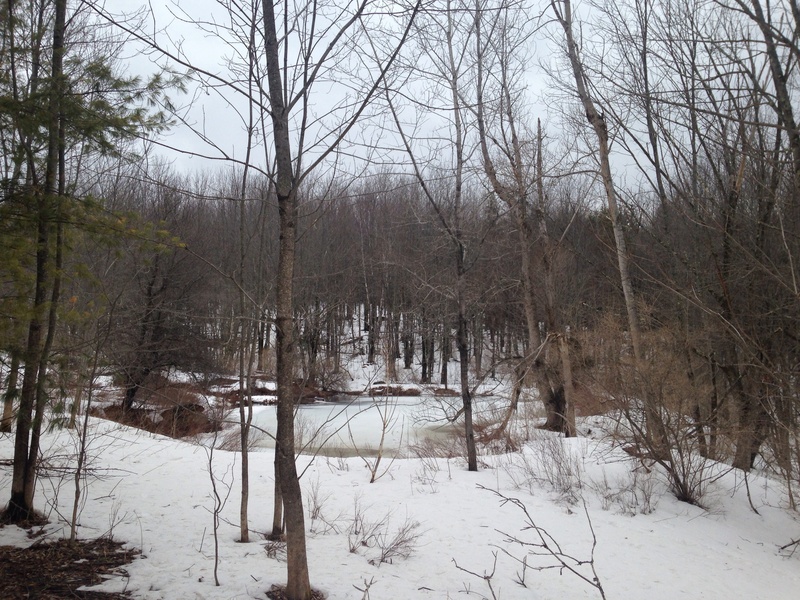 Despite low temperatures, the snow continues to melt. Update: still 38F at 2pm with fast moving clouds, high winds and bright sunshine. This entry was posted in Daily Catskills and tagged Catskills, Photography, Snow, Spring, Weather, Winter on April 4, 2015 by JNUrbanski. 50F at 9am; the air thick with fog and unexpected birdsong. Overnight rain had rendered the ground sodden and trees dark with damp. Fog on the mountaintops, mist in the valleys melting snow revealing a nascent landscape. Update: a high of 59F with thick cloud and fog all day. The sun made a brief appearance. 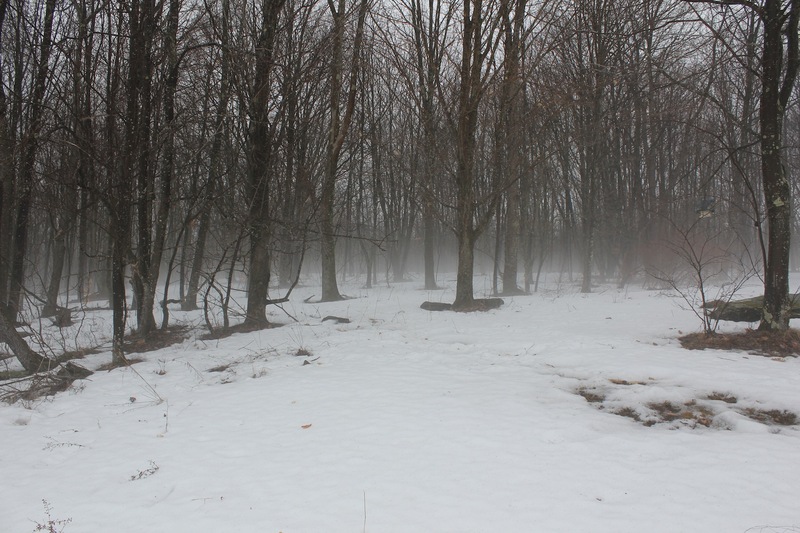 This entry was posted in Daily Catskills and tagged Catskills, Fog, Snow, Weather, Winter on April 3, 2015 by JNUrbanski. 44F at 9am with bright sunshine poking through the hazy cloud cover. The thermometer was reading 52F at 10am and 55F at 2pm. Today seems to mark the point of no return (to winter). 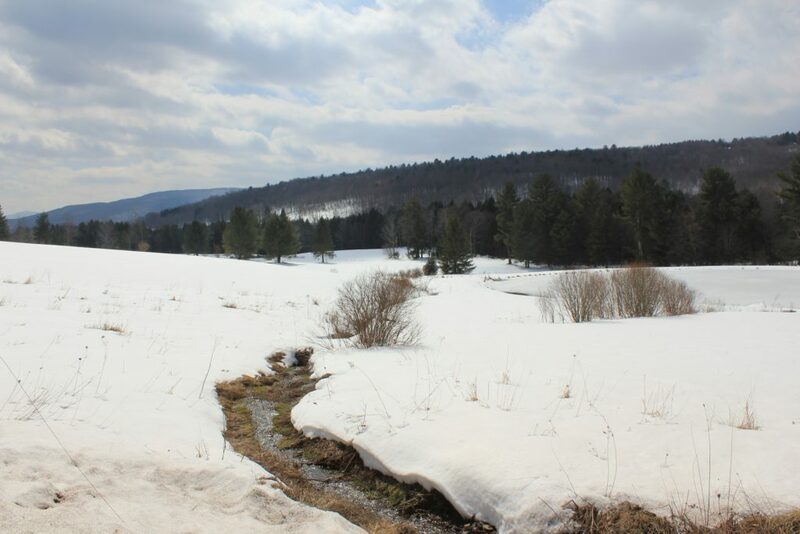 This entry was posted in Daily Catskills and tagged Catskills, Photography, Snow, Spring, Spring Thaw, Weather, Winter on April 2, 2015 by JNUrbanski. 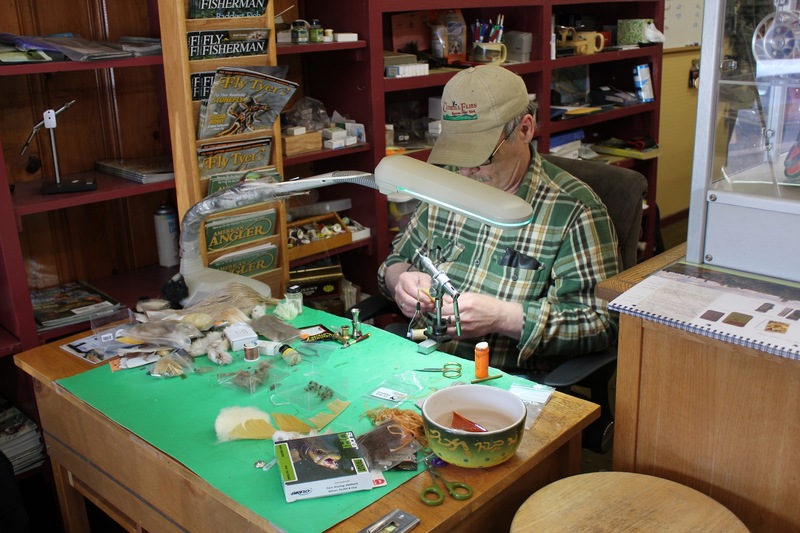 This entry was posted in Fly Fishing and tagged Catskill Flies, Fishing, Fly Fishing, Junction Pool, Roscoe, Snow, Trout season, Weather, Winter on April 1, 2015 by JNUrbanski. 18F at 7am. Freezing lines hampering early morning cast-off on the first day of Trout Season at Junction Pool, Roscoe “Trout Town”. Sunny at 8am. Update: 39F at glorious clear skies with light winds at 1.30pm. 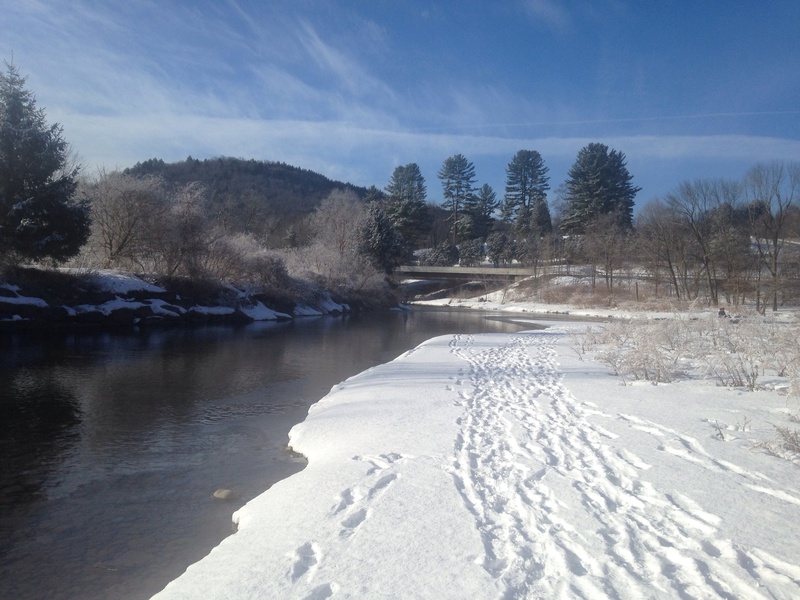 This entry was posted in Daily Catskills and tagged Angling, Beaverkill, Catskills, First Casting, Fishing, Photography, Roscoe, Snow, Trout season, Weather, Winter on April 1, 2015 by JNUrbanski. 40F and sunny at 9am with partly cloudy skies. Update: 45F at noon and warm without a coat. 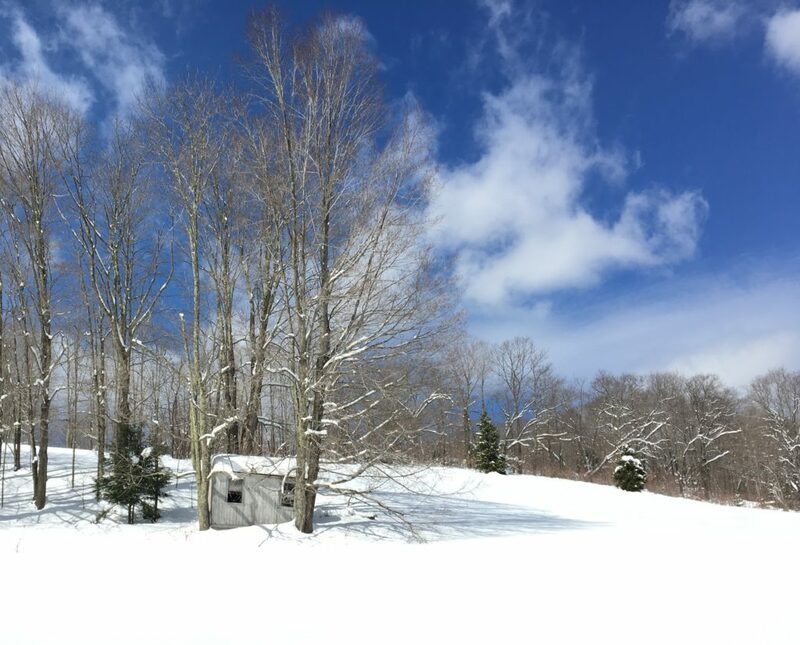 This entry was posted in Daily Catskills and tagged Catskills, Country Living, Deep Freeze, Photography, Ski, Ski Catskills, Skiing, Snow, Spring, Weather, Winter on March 31, 2015 by JNUrbanski. 32F, overcast and lightly snowing at 8.30am. As far as Spring is concerned it appears to be one step forward and two steps back. 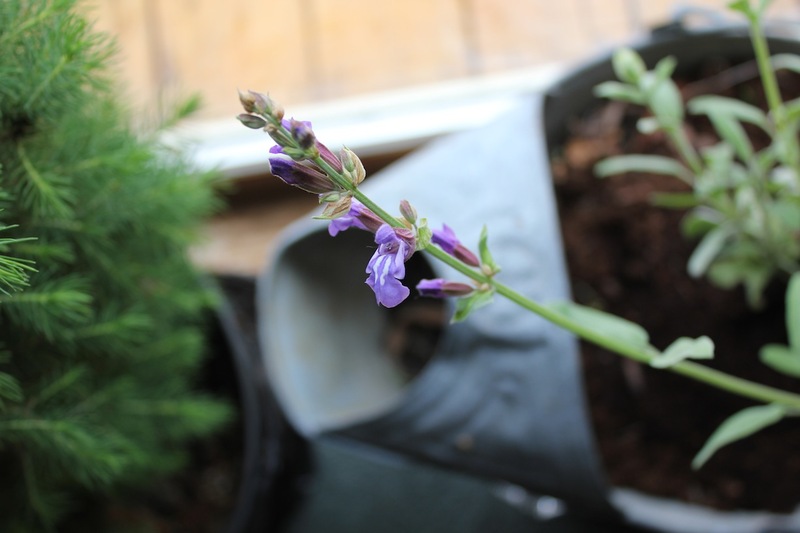 The windowsill sage continues to bolt regardless. Update: moderate winds for most of the day with a smattering of hail. The clouds parted at about 5pm. 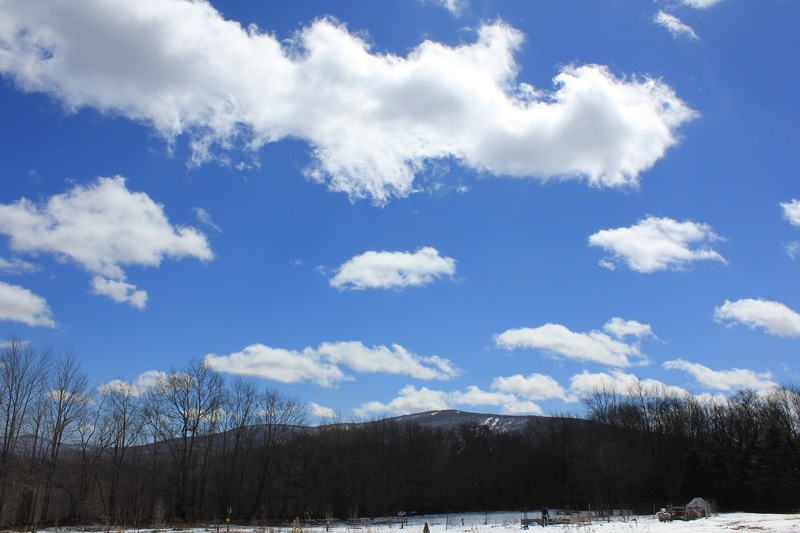 This entry was posted in Daily Catskills and tagged Catskills, Cloud, Late Spring, Photography, Ski, Ski Catskills, Skiing, Snow, Spring, Weather, Winter on March 30, 2015 by JNUrbanski. 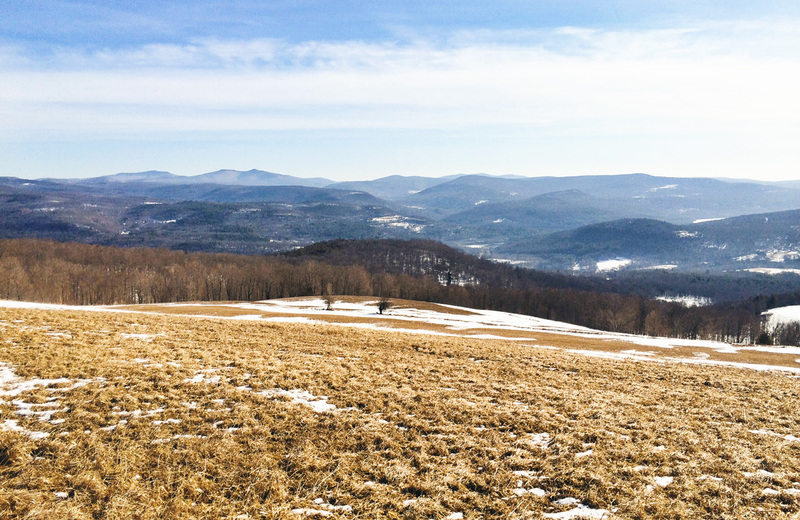 This entry was posted in Daily Catskills and tagged Catskills, Photography, Ski, Ski Catskills, Skiing, Snow, Spring, Sunshine, Weather, Winter on March 29, 2015 by JNUrbanski. 20F at 8am with barest of snowfall. Did we blink and miss Summer? 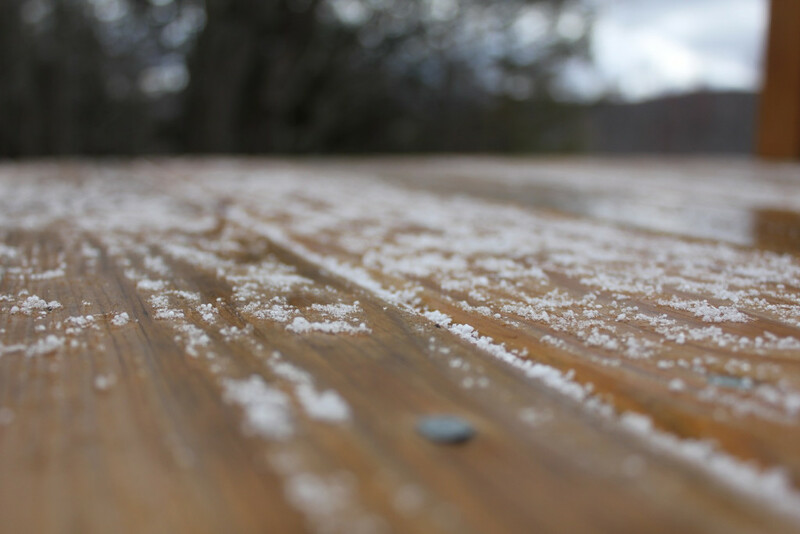 Update: light snowfall continued throughout the morning and was much heavier by the afternoon. Really, more snow? Yes, really. 30F by 1pm. 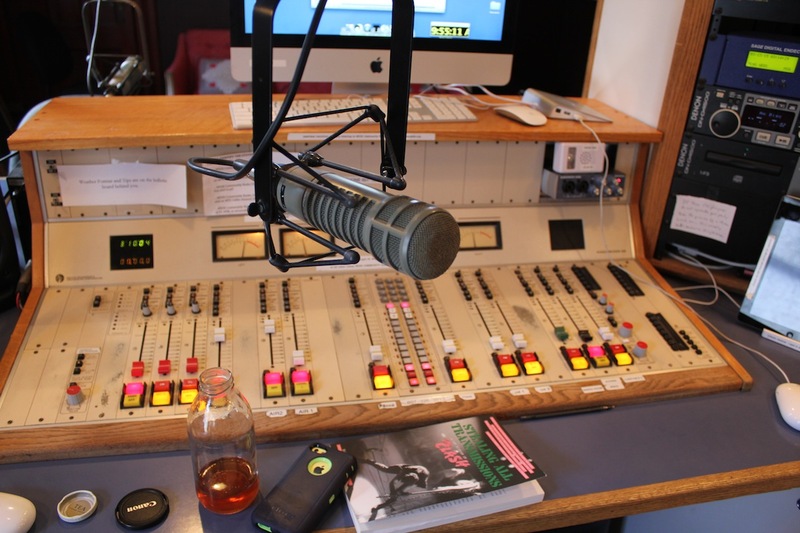 This entry was posted in Daily Catskills and tagged Cabin Fever, Catskills, Local, Local eggs, Local Produce, Photography, Products, Shop Locally, Ski Catskills, Skiing, Snow, Spring, Weather, Winter on March 28, 2015 by JNUrbanski. 32F at 9am, a light icy rain and the remnants of last night’s fog lazing over the mountains. The snow banks have dissipated and a grungy landscape is emerging. 36F at 1.30pm and no rain. This entry was posted in Daily Catskills and tagged Catskills, Fog, Freezing, Ice, Photography, Rain, Ski Catskills, Skiing, Snow, Spring, Weather, Winter on March 27, 2015 by JNUrbanski. A thrilling 37F at 9am, rising to 45F by 1pm. Mysterious fog thickening heavily into the evening. Spring on the way? This entry was posted in Daily Catskills and tagged Catskills, Photography, Ski Catskills, Skiing, Snow, Spring, Weather, Winter on March 26, 2015 by JNUrbanski. 25F at 9am and partly cloudy, partly sunny. An enigmatic day. This entry was posted in Daily Catskills and tagged Catskills, Photography, Ski, Ski Catskills, Skiing, Snow, Spring, Weather, Winter on March 25, 2015 by JNUrbanski. 14F at 9am, rising to 25F by noon, with overnight lows dipping into the single digits: the arctic torturer rolls up his sleeves, but this time we hope its brief. 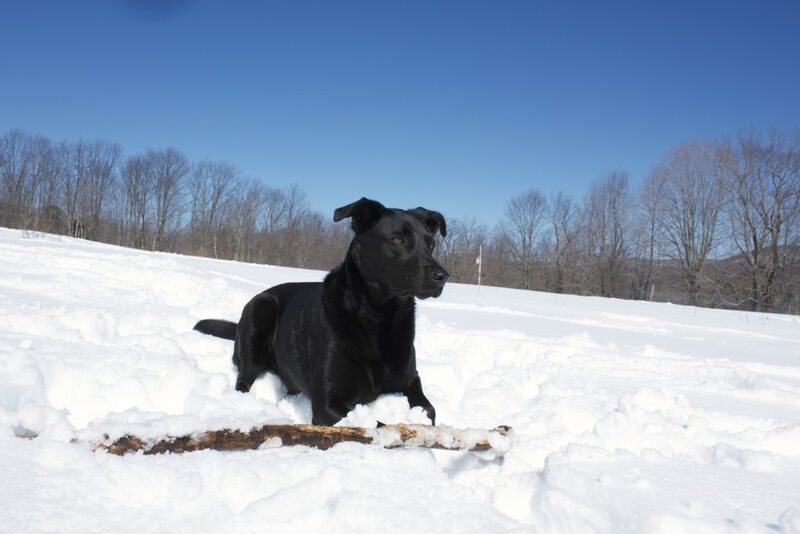 This entry was posted in Daily Catskills and tagged Arctic, Catskills, Country Living, Deep Freeze, Photography, Ski, Ski Catskills, Skiing, Snow, Spring, Squirrel, Weather, Winter on March 24, 2015 by JNUrbanski. 10F at 8am, partly cloudy alternating with bright sunshine. Update: 23F, clear blue skies and sunshine by midday. 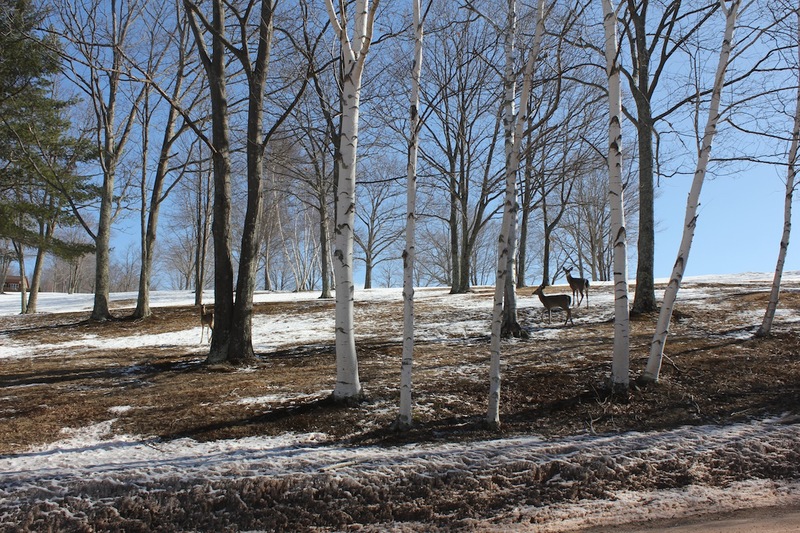 This entry was posted in Daily Catskills and tagged Catskills, Deer, Grazing Deer, Photography, Radio, Ski, Ski Catskills, Skiing, Snow, Spring, Weather, Winter on March 23, 2015 by JNUrbanski. 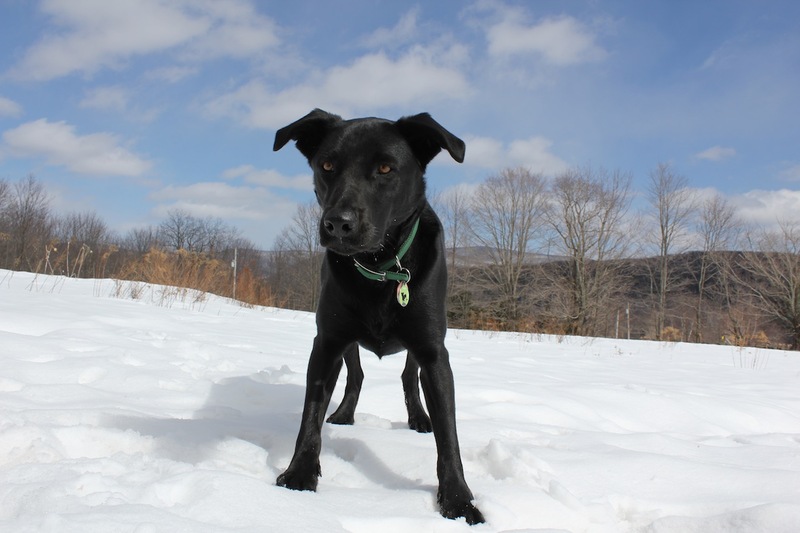 This entry was posted in Hiking The Catskills and tagged Catskills, Dog, Dogs, Freezing, Labradors, Snow, Weather, Winter on March 22, 2015 by JNUrbanski. 28F at midday, lowering to 22F by 2pm with bright sunshine alternating with fast-moving cloud and high winds. Gloves essential. This entry was posted in Daily Catskills and tagged Catskills, Photography, Ski, Ski Catskills, Skiing, Snow, Spring, Weather, Winter on March 22, 2015 by JNUrbanski. Second day of spring = glorious winter wonderland. Mud season in abatement after yesterday’s low temperatures. 36F at 10am with morning sun occasionally peeking through the rolling grey cloud cover. An inch of yesterday’s powder remained on the branches. 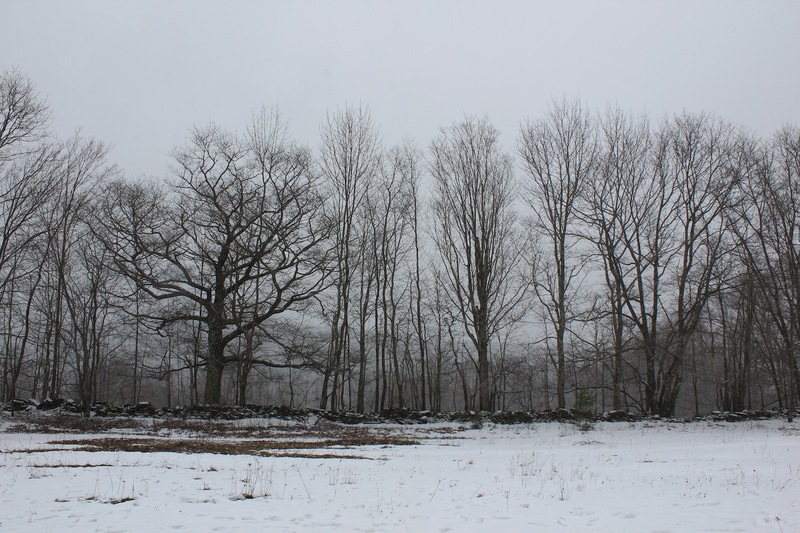 40F at 1pm: overcast, with only brightness from the snow. © J.N. 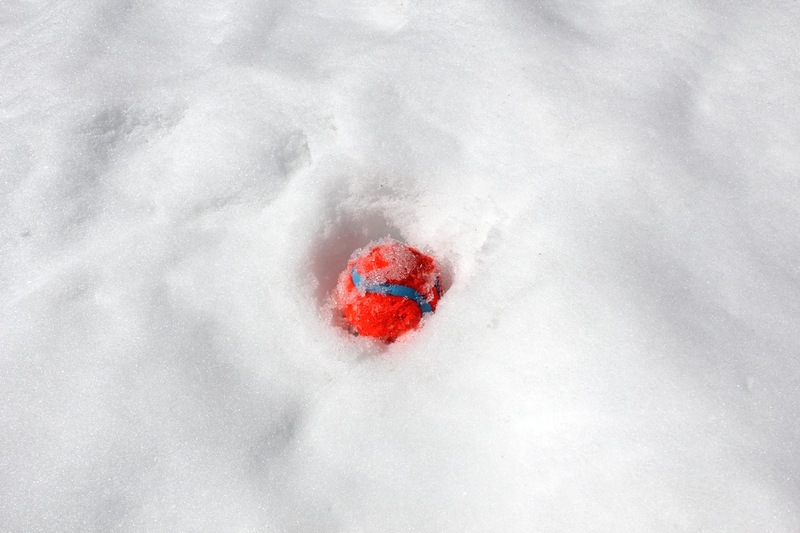 Urbanski 1pm Firepit buried under snow. This entry was posted in Daily Catskills and tagged Catskills, Photography, Second Day of Spring, Ski, Ski Catskills, Skiing, Snow, Spring, Weather, Winter on March 21, 2015 by JNUrbanski. 28F by 10am with snow beginning shortly thereafter. A dismally grey, overcast Spring Equinox. Update: heavy snow into the afternoon with an inch of powder laying on roads and tree branches. 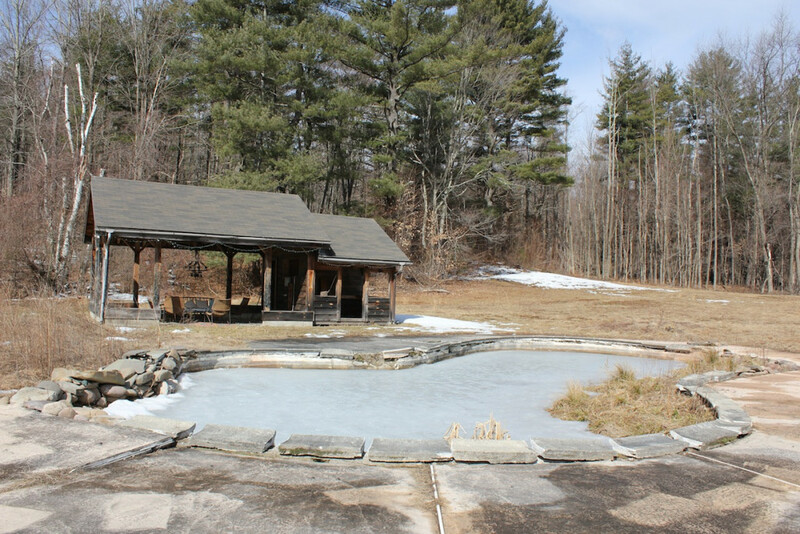 This entry was posted in Daily Catskills and tagged Catskills, Photography, Ski, Ski Catskills, Skiing, Snow, Spring, Spring Equinox, Weather, Winter on March 20, 2015 by JNUrbanski. 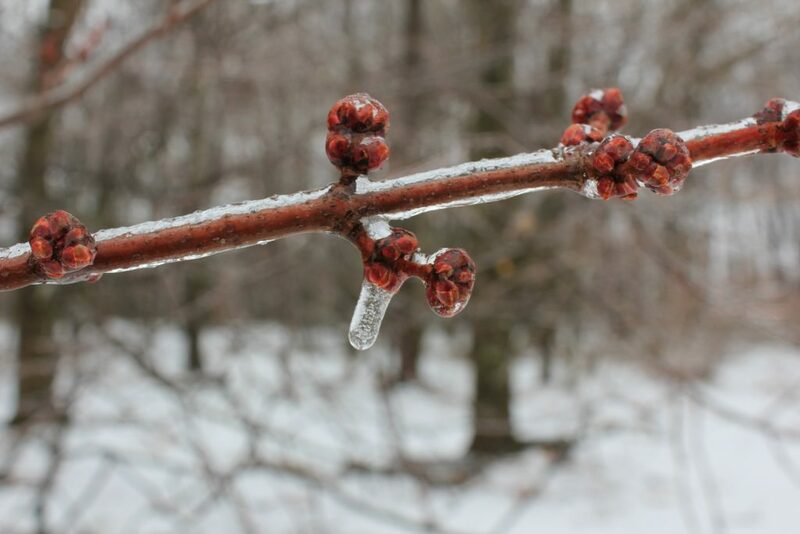 It feels like spring has been put on ice, but don’t put the cork back in the champagne yet. Today, March 20th is the vernal equinox, with two additional bonus features of a solar eclipse and a perigee moon, in which the sun looks about 15% bigger than it usually does: dubbed a “Supermoon”. For the 24 hours of the equinox, the durations of the day and night are equal because the sun shines directly at the equator. The suns rays are perpendicular to the earth. When you live in the mountains, you notice the position of the sun more keenly and during winter months it rises and sets much lower than its summer east/west positions. Days will now start to get longer until the longest day of the year, which will be the June Solstice. 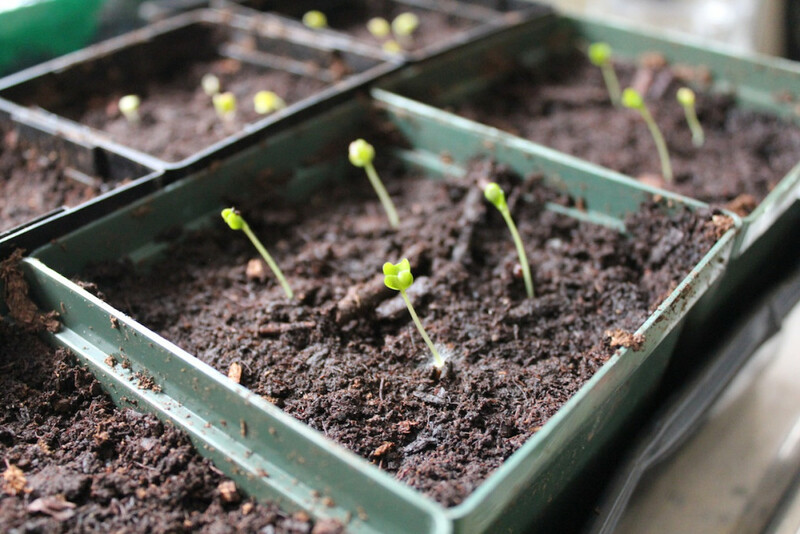 So the days may be long, but nothing has sprung except the indoor seedlings planted last Sunday 15th March and sprouting in the spare bedroom. If you don’t have a heated greenhouse outside, you can “start” your seeds inside, but don’t use potting soil: use peat. These cauliflowers are five days old. 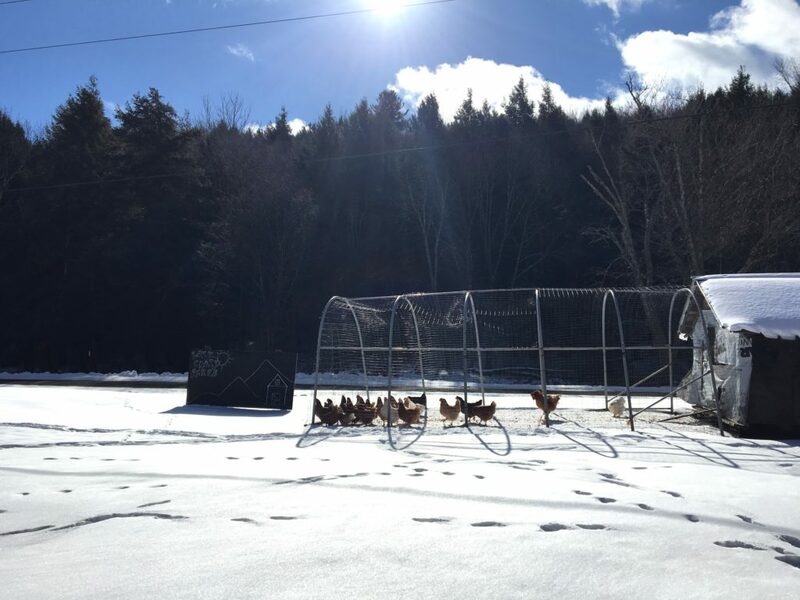 This entry was posted in Daily Catskills and tagged Catskills, Cauliflower, Deep Freeze, Equinox, Freezing, Ice, Moon, Peat, Perigee Moon, Photography, Seedlings, Snow, Solar Eclipse, Spring, Sprouting, Sun, Supermoon, Vegetables, Weather, Winter on March 20, 2015 by JNUrbanski. 23F at 10.30m: face-freezingly frigid. 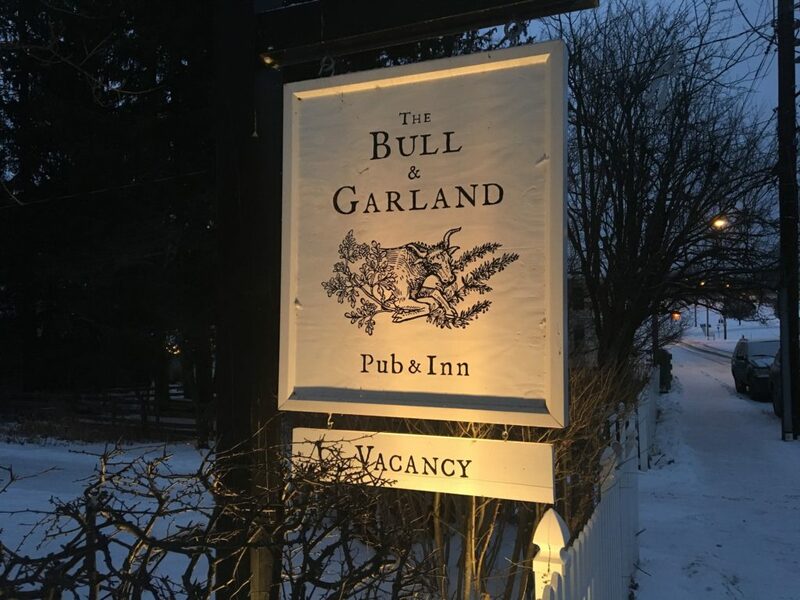 This entry was posted in Daily Catskills and tagged Catskills, Photography, Ski, Ski Catskills, Skiing, Snow, Weather, Winter on March 19, 2015 by JNUrbanski. 21F at 9am with high winds. The snow gets whipped up by the squalls. 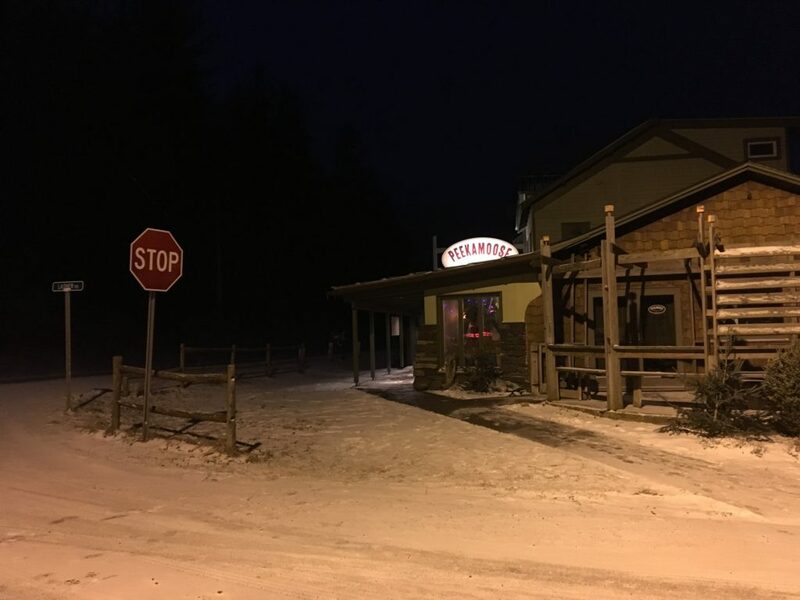 This entry was posted in Daily Catskills and tagged Catskills, Country Living, Photography, Ski, Ski Catskills, Skiing, Snow, Weather, Winter on March 18, 2015 by JNUrbanski.